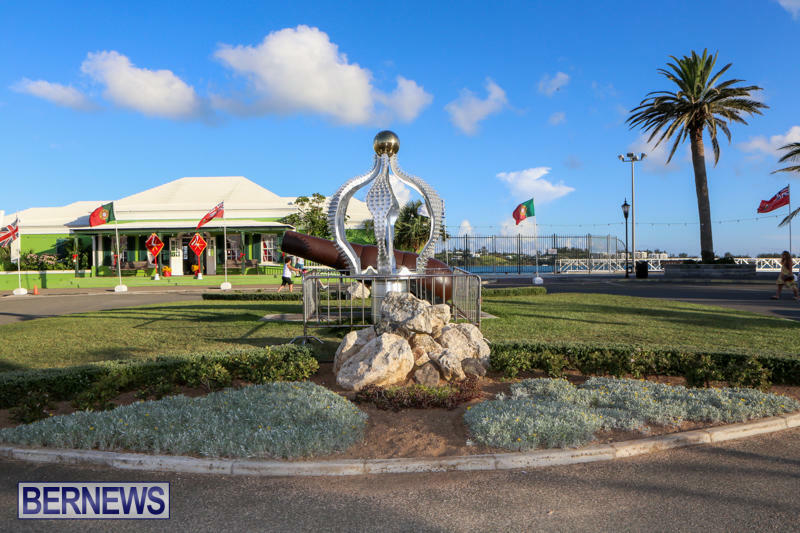 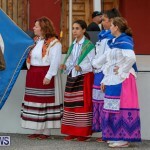 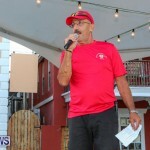 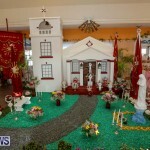 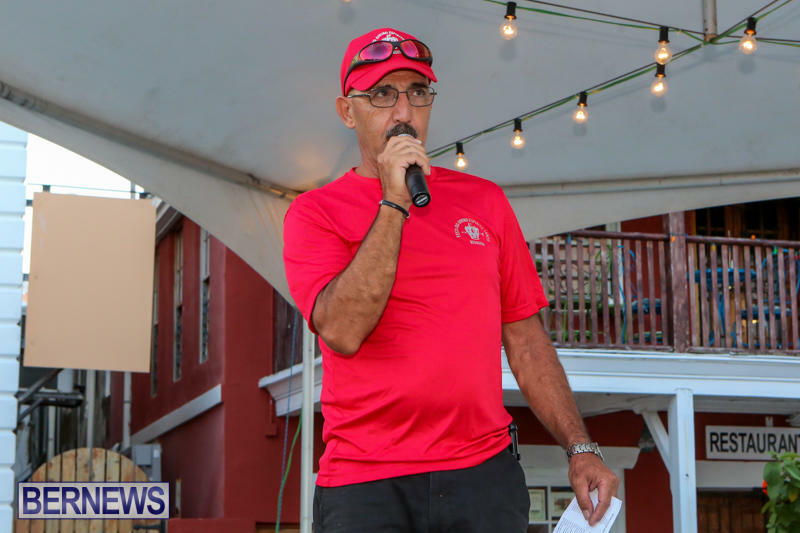 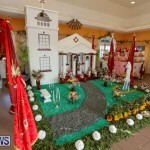 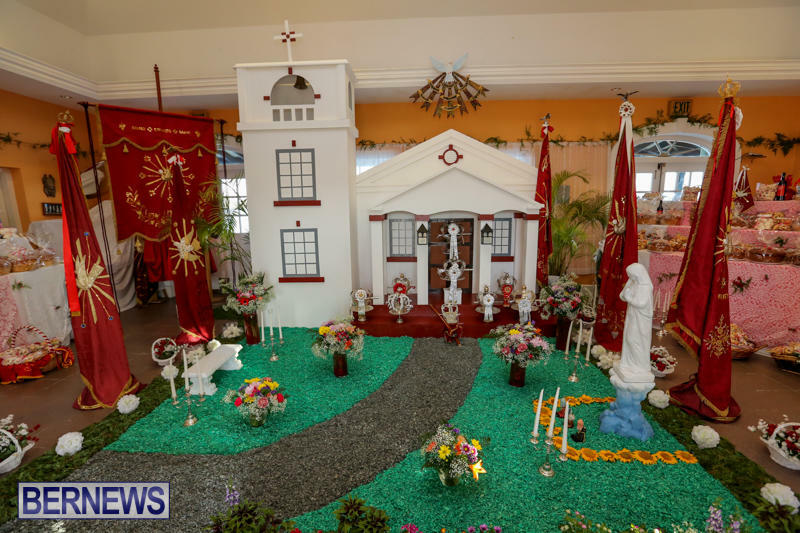 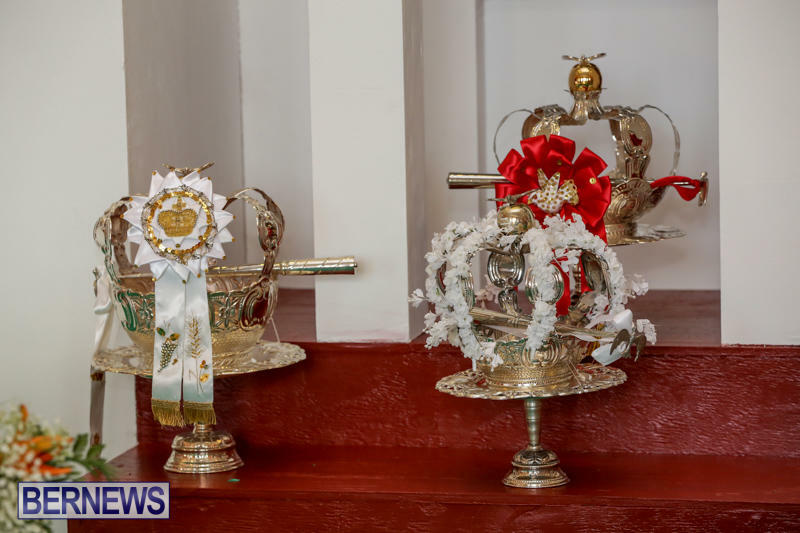 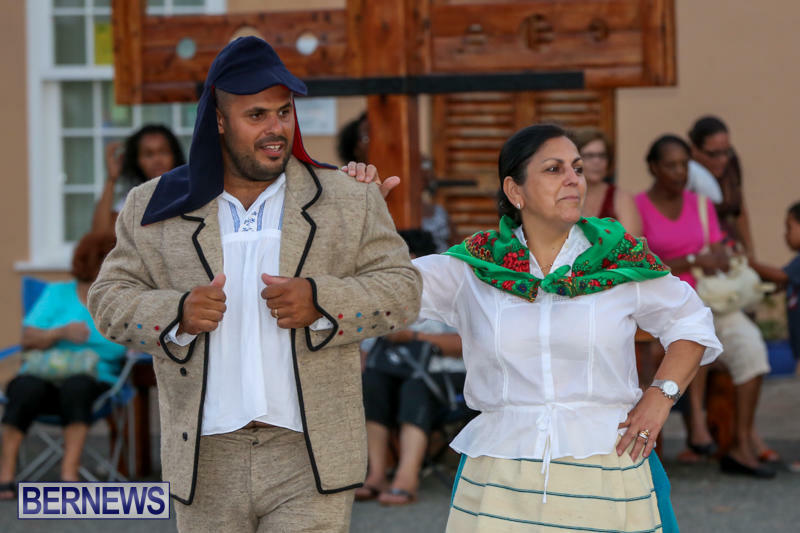 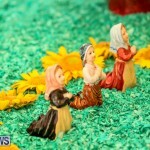 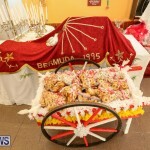 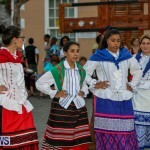 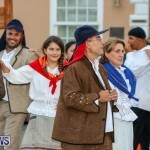 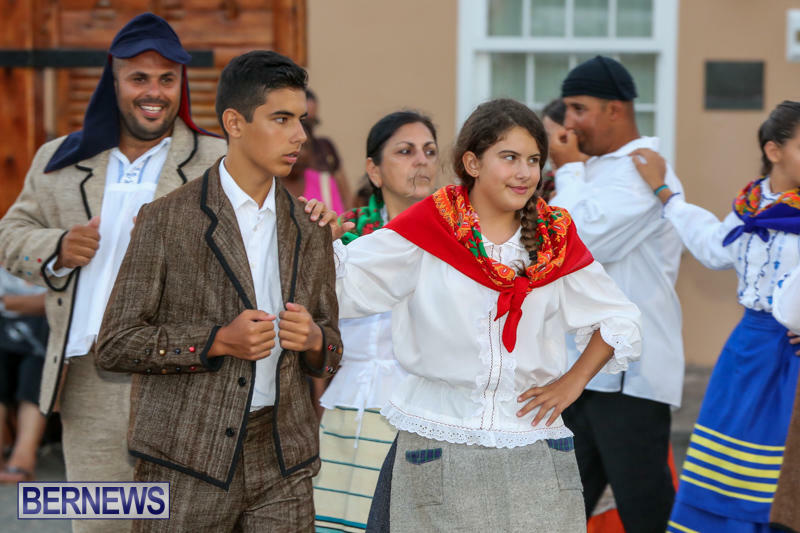 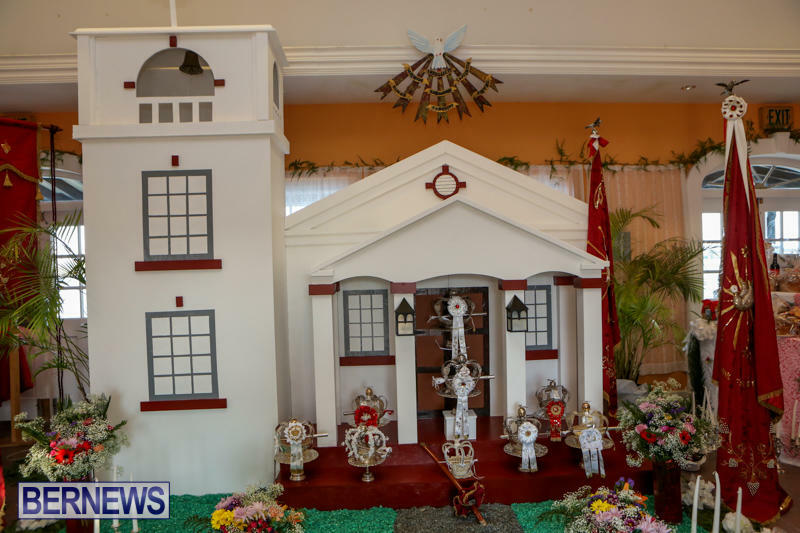 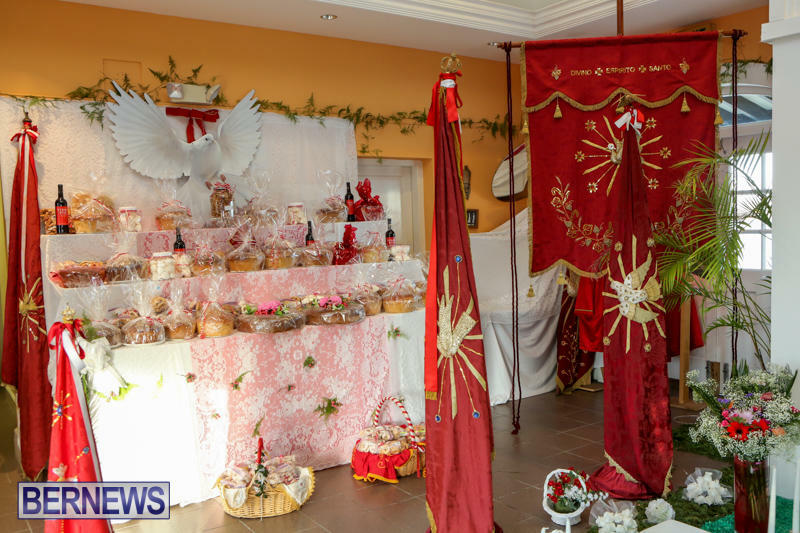 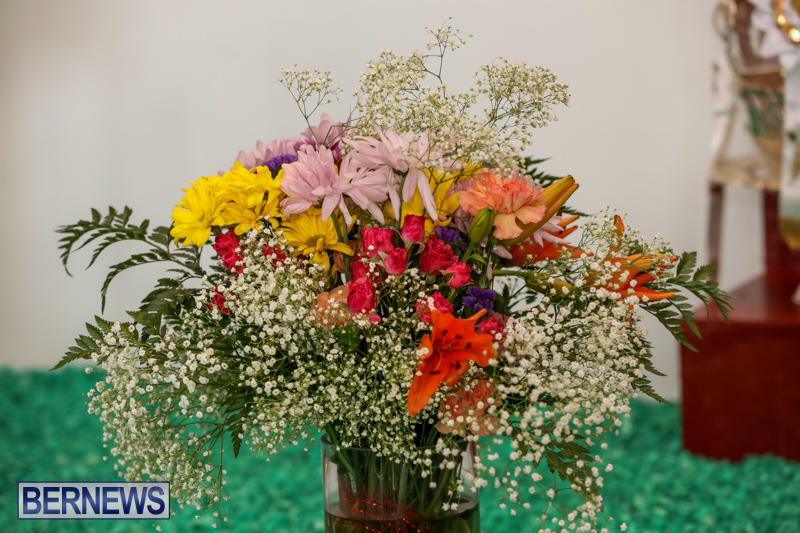 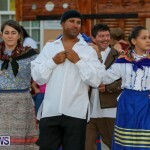 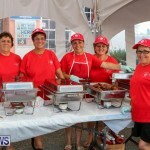 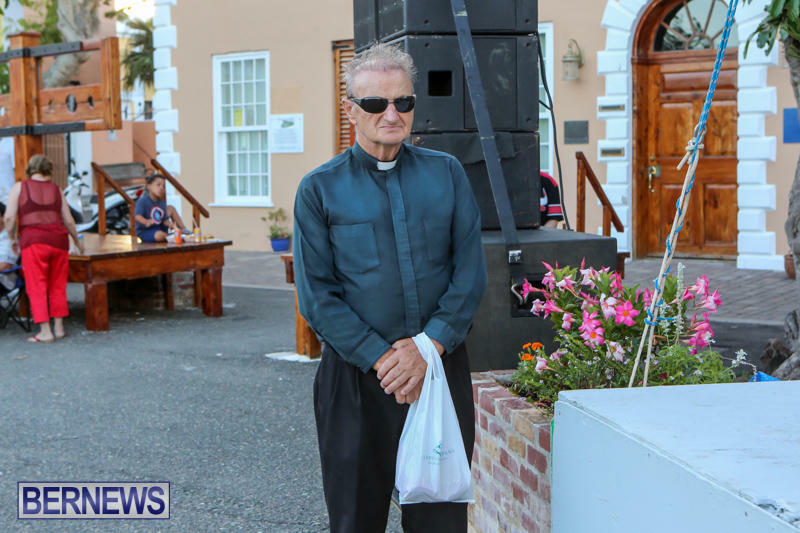 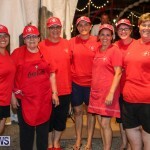 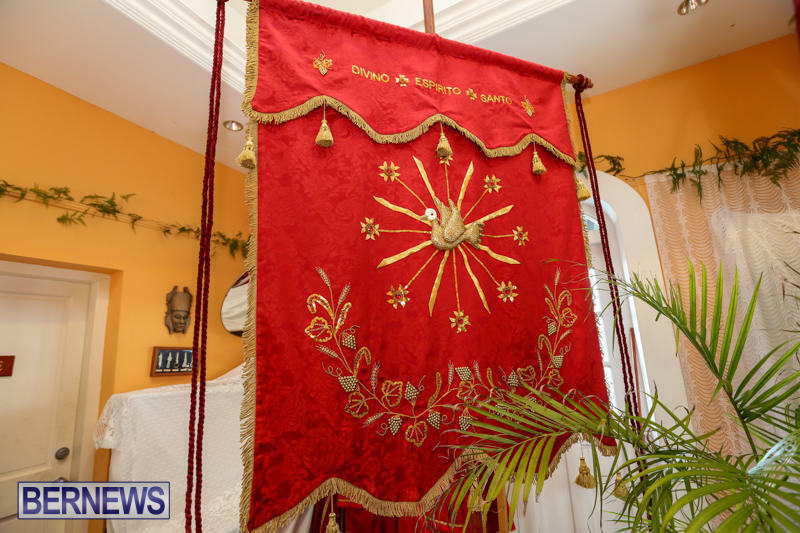 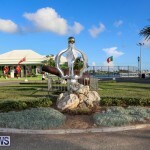 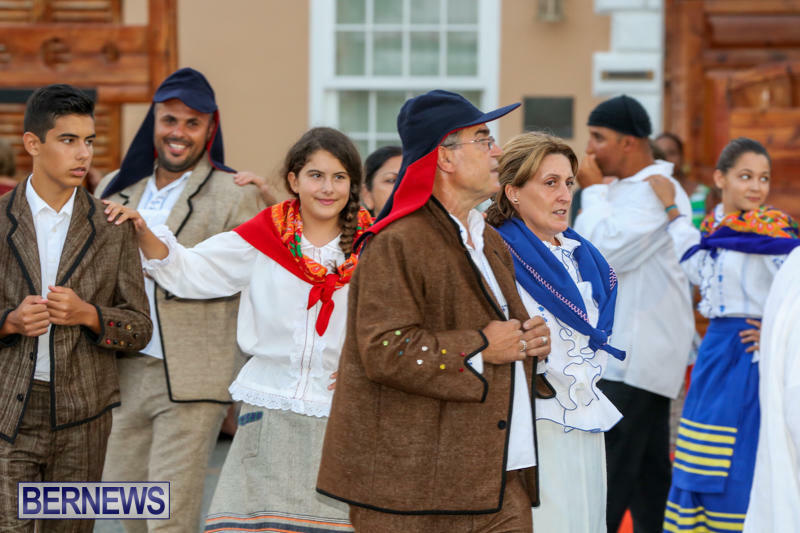 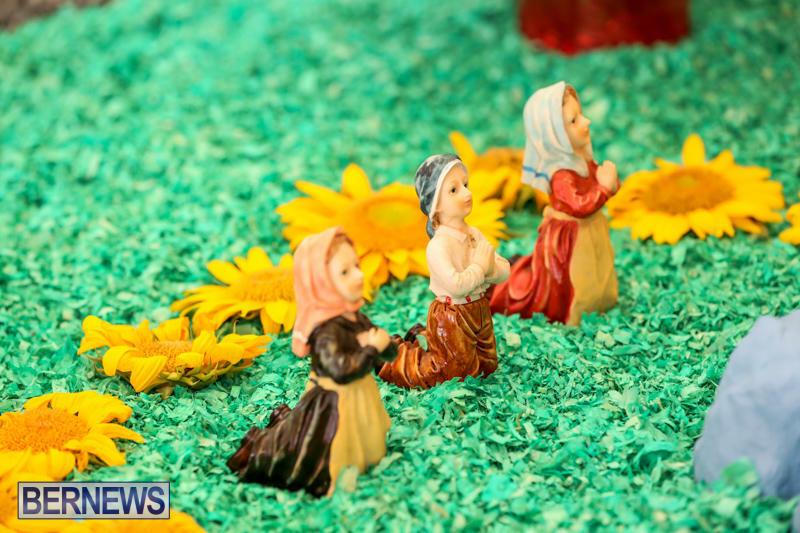 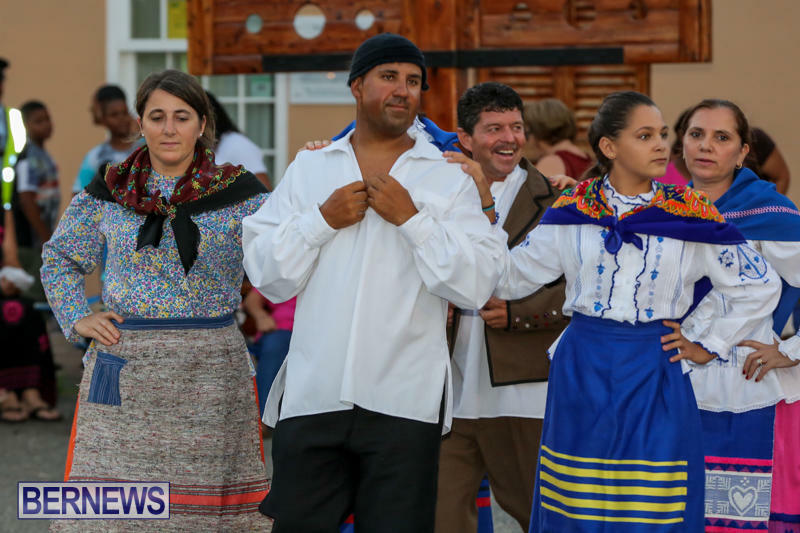 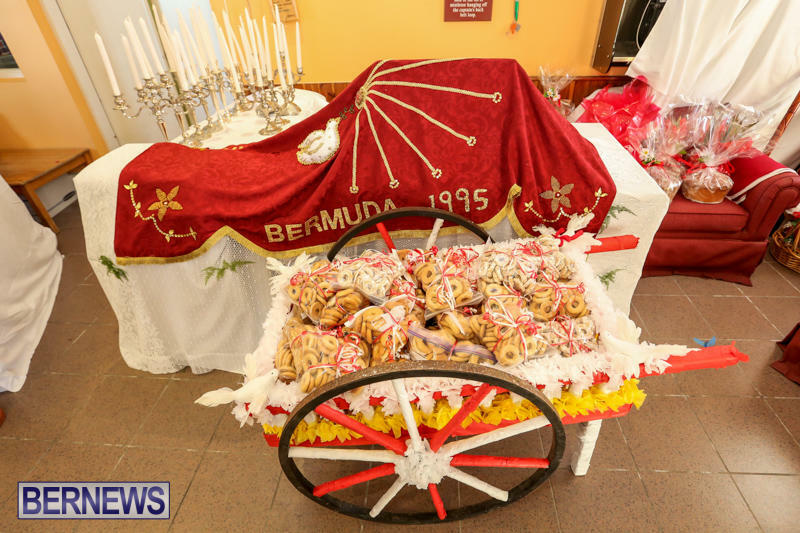 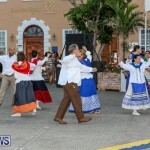 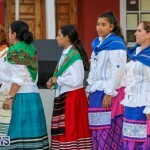 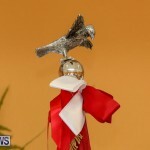 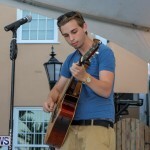 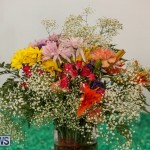 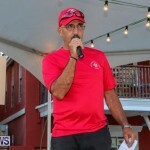 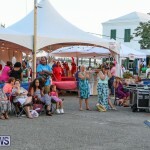 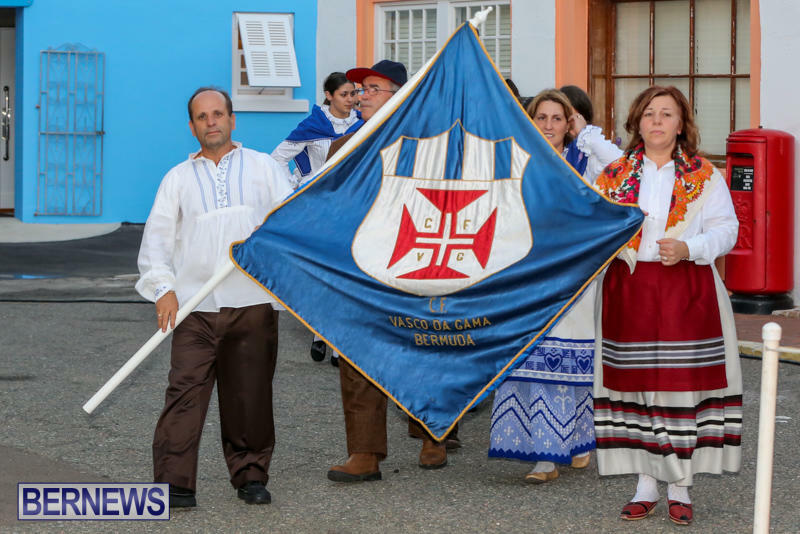 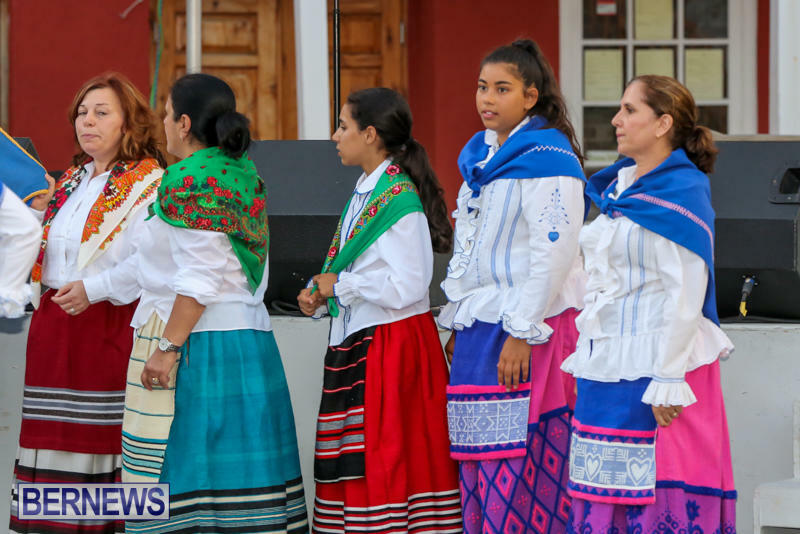 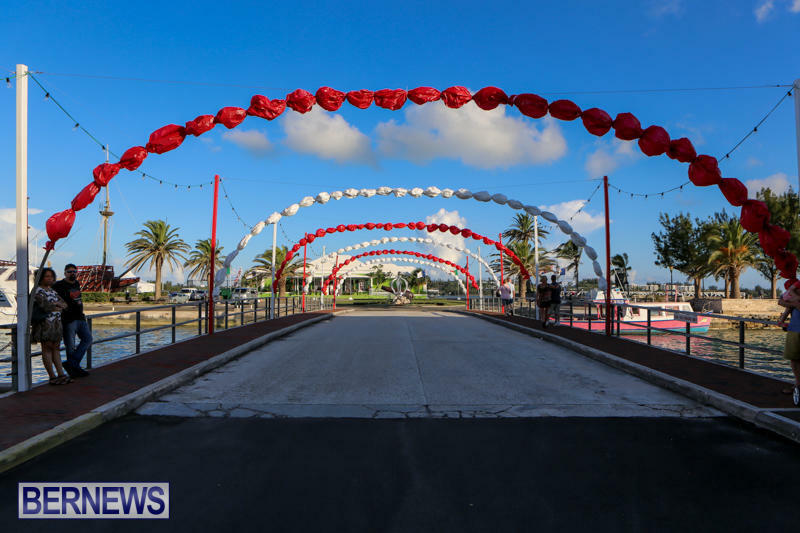 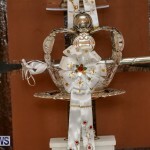 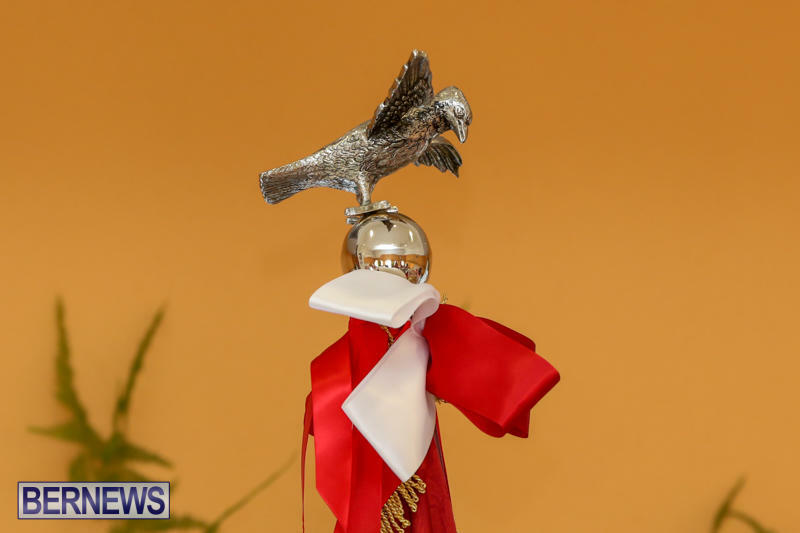 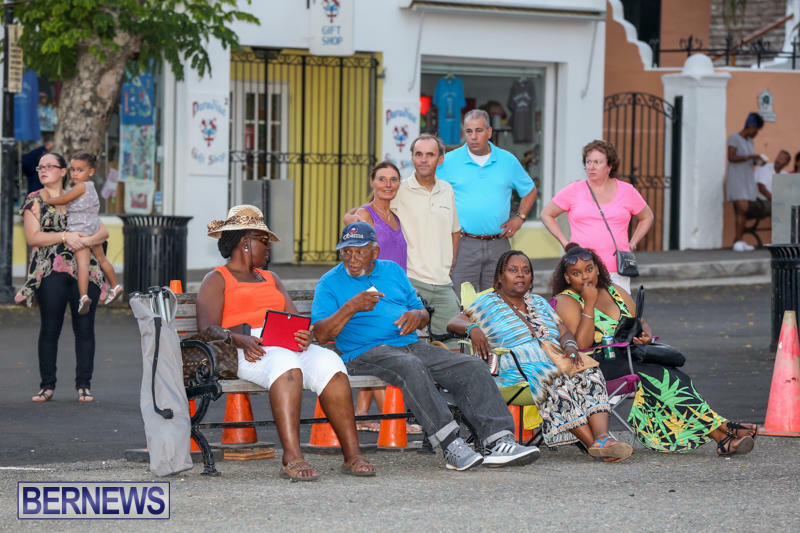 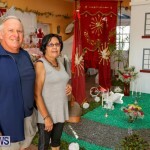 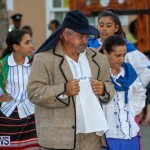 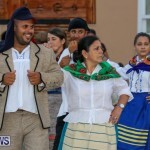 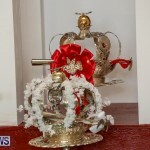 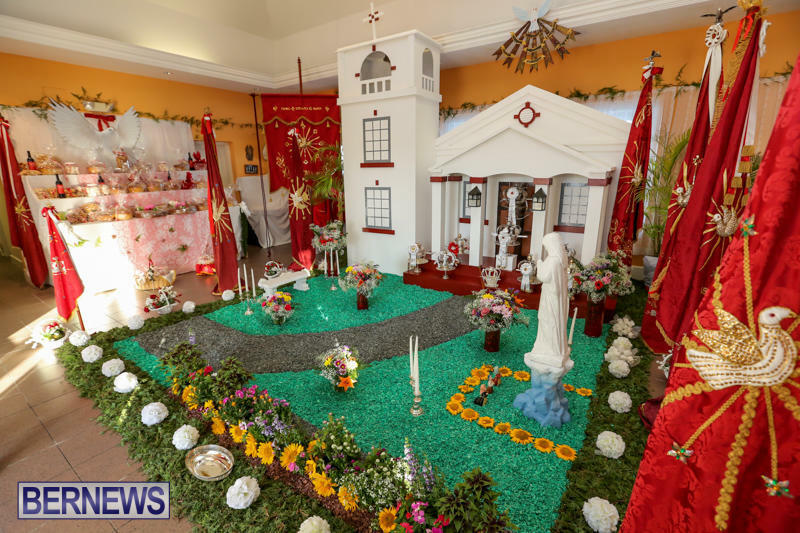 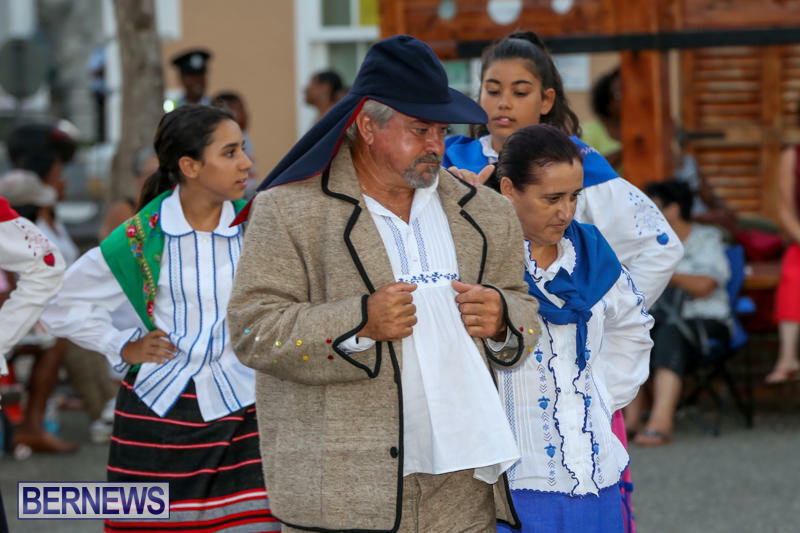 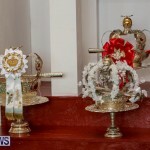 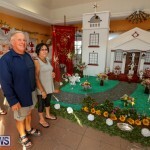 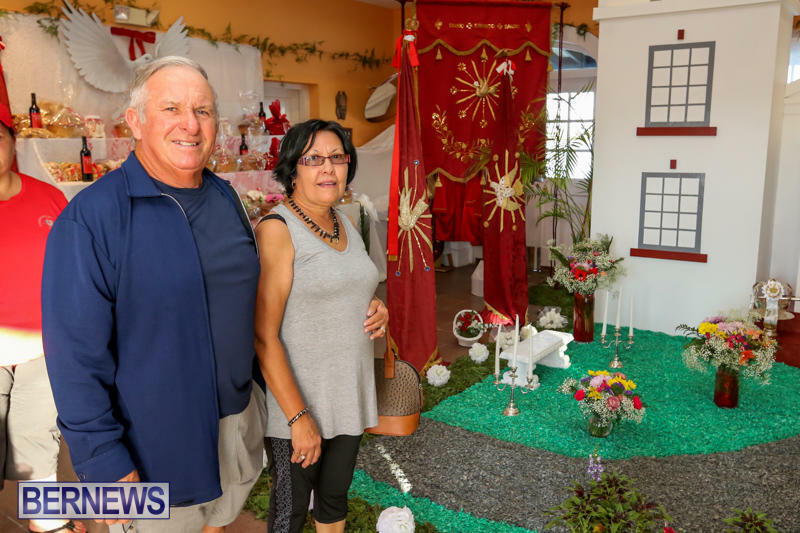 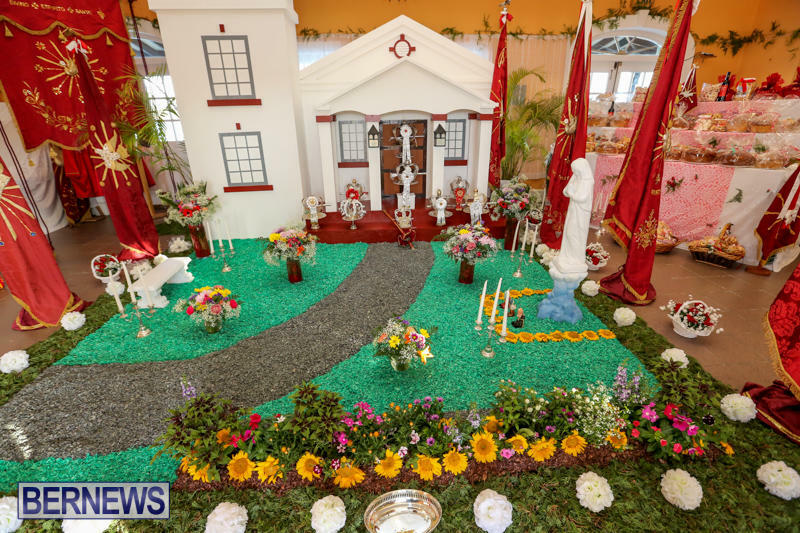 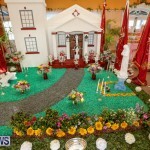 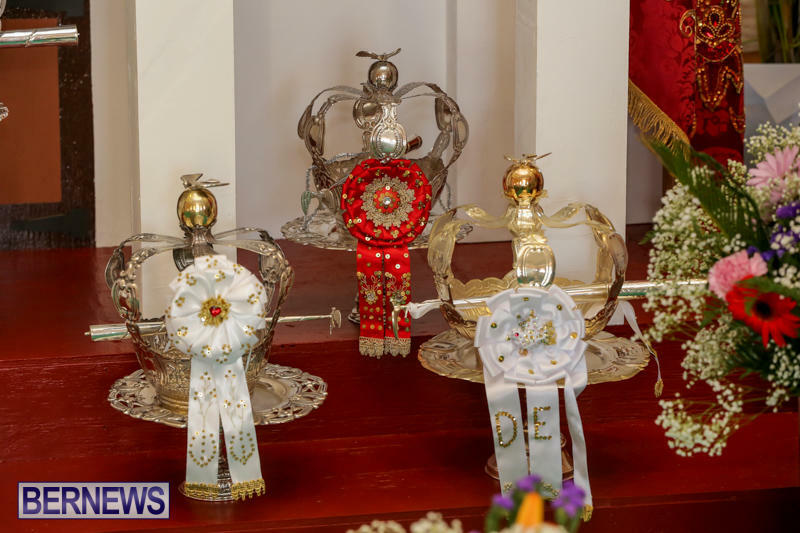 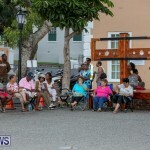 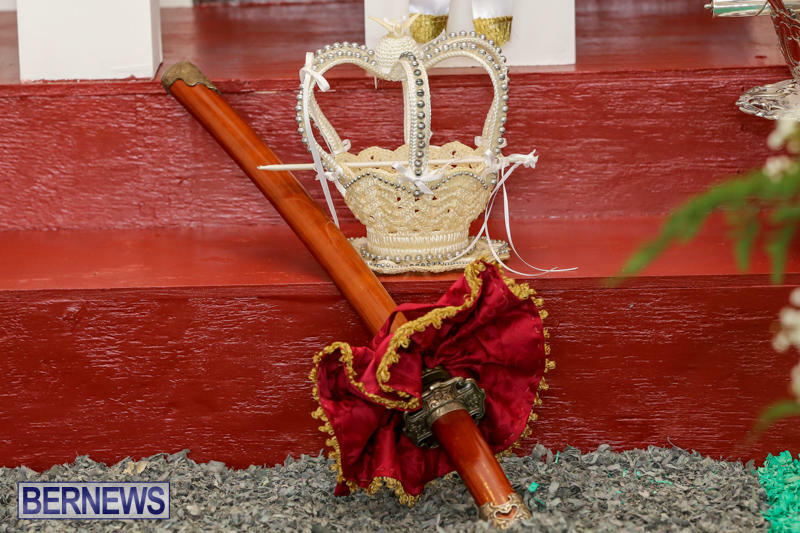 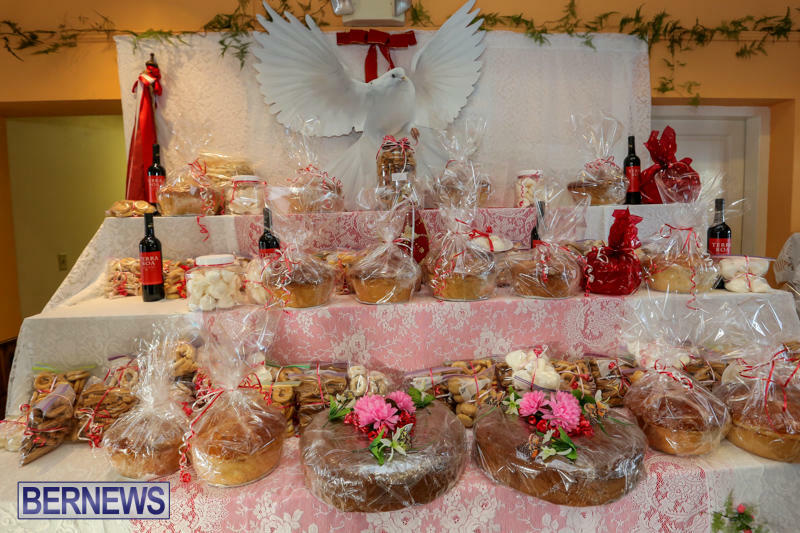 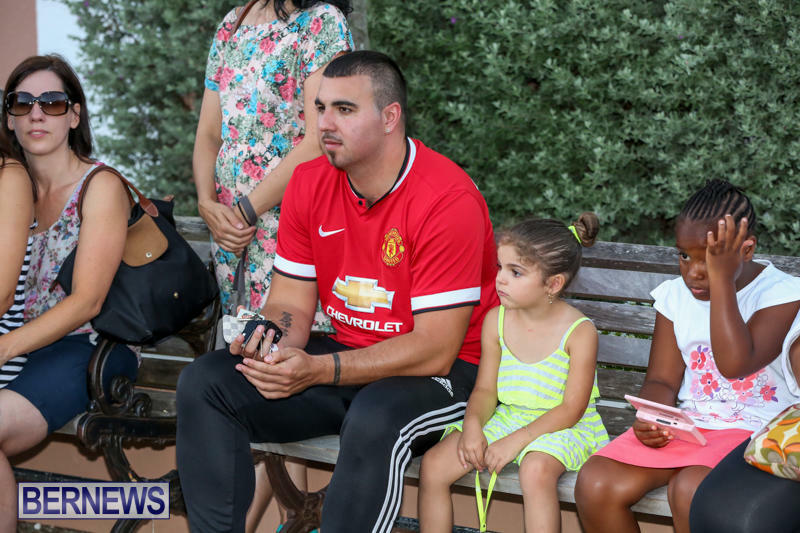 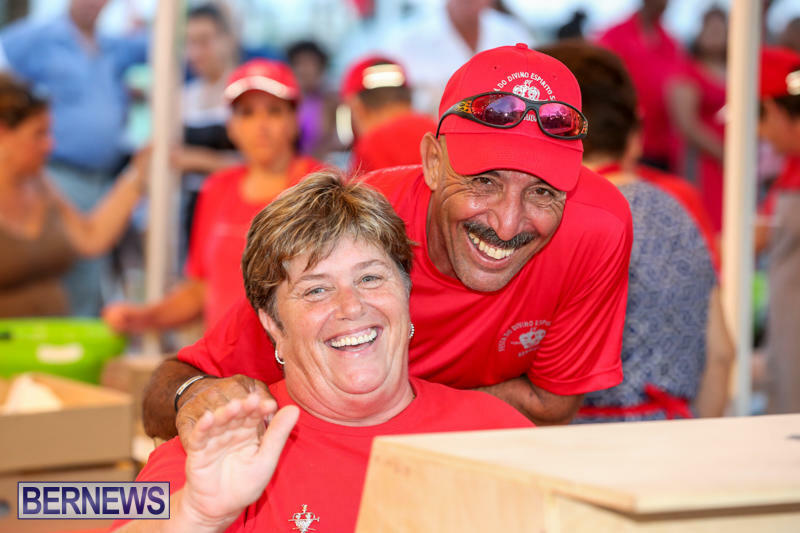 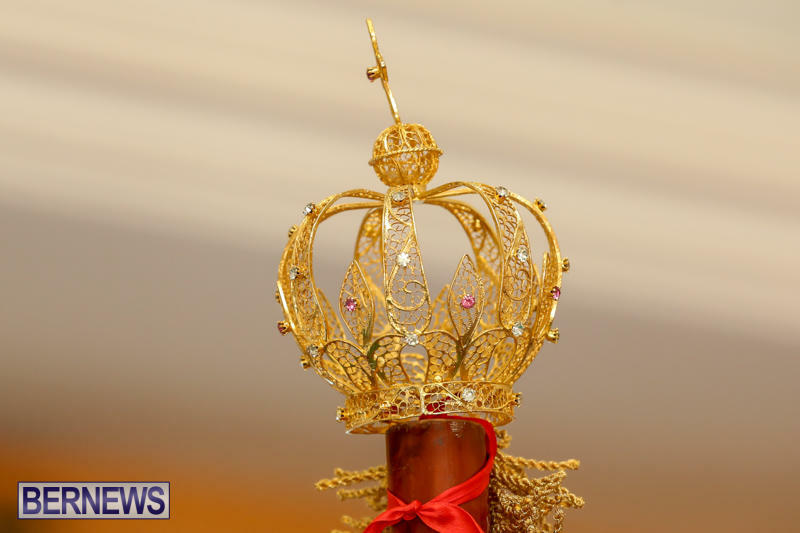 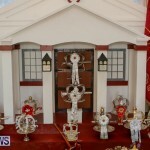 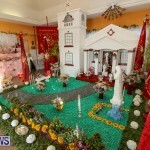 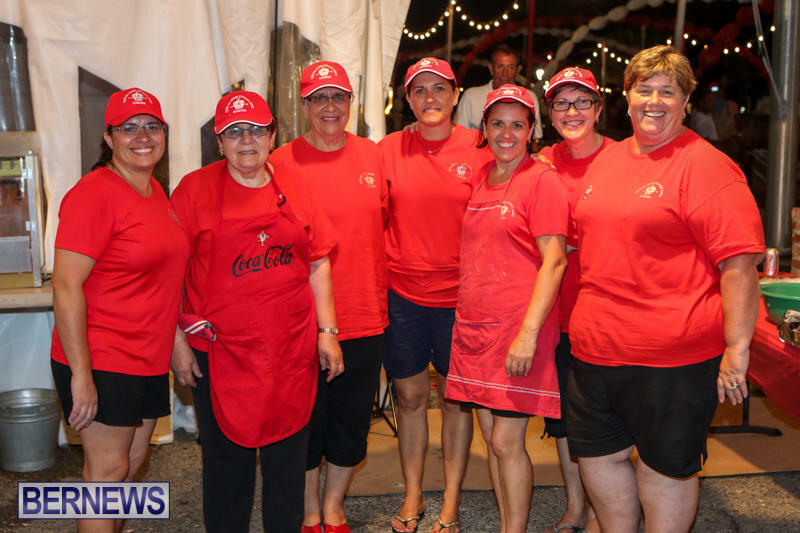 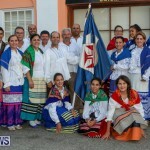 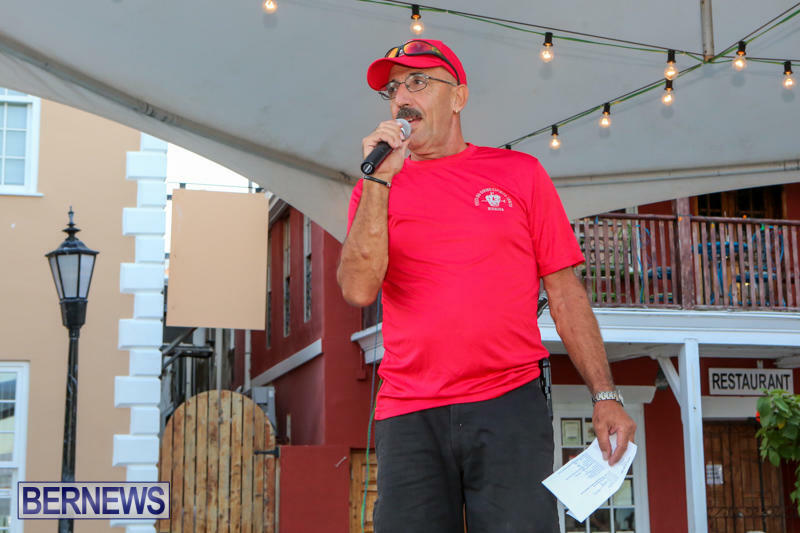 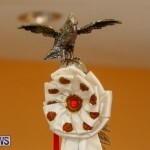 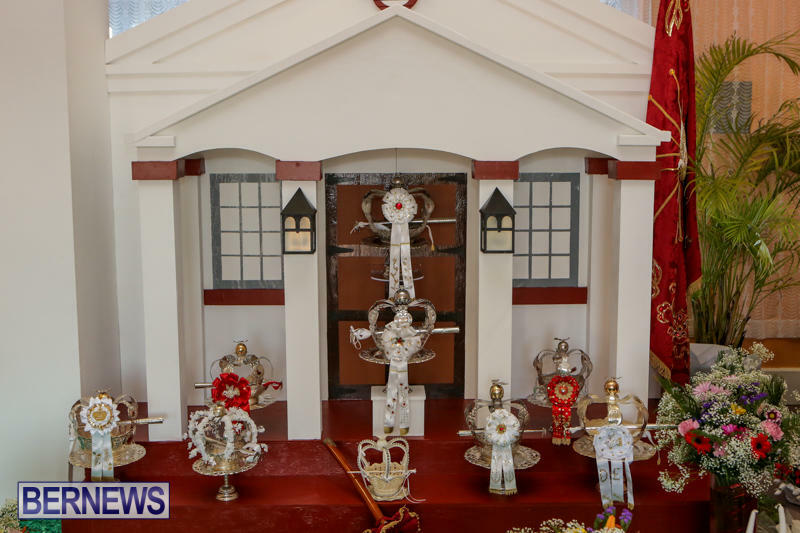 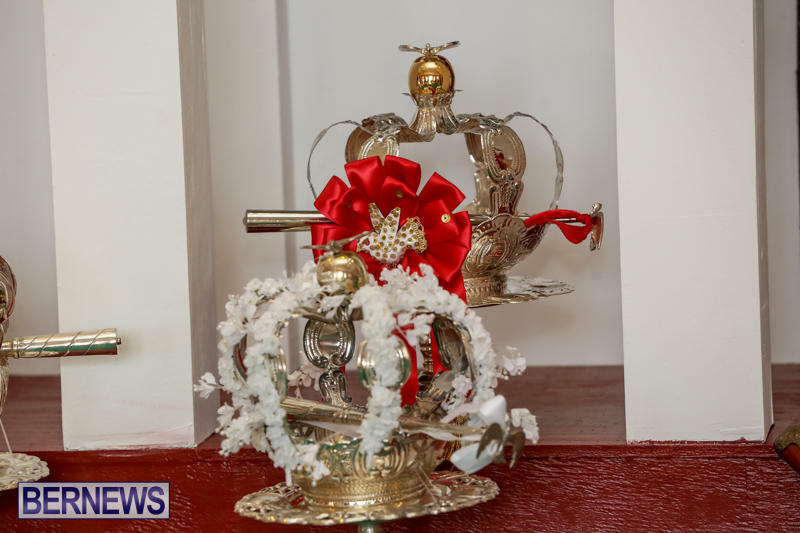 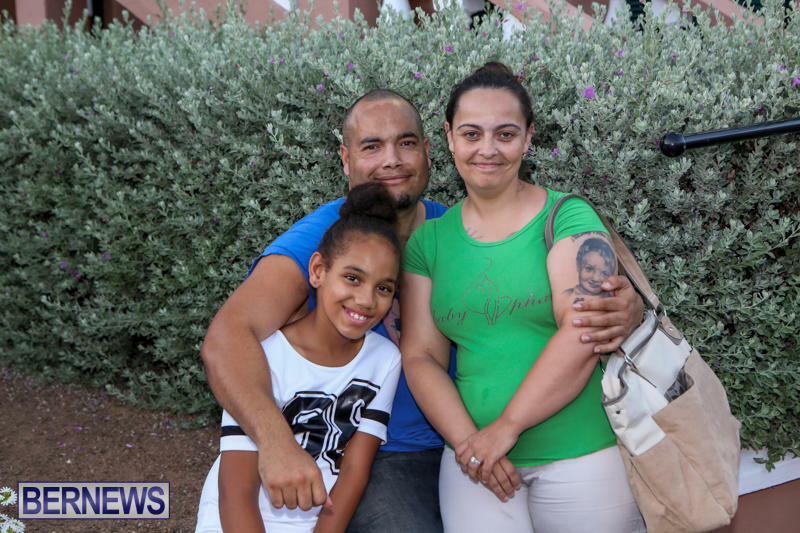 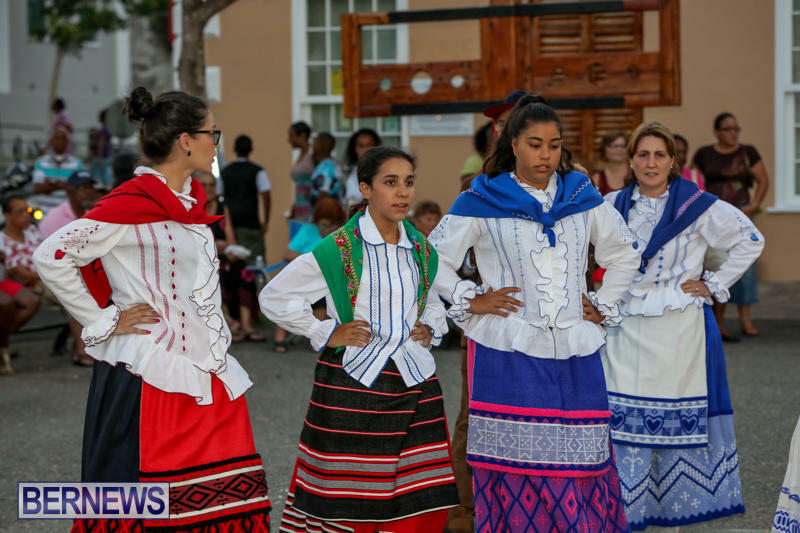 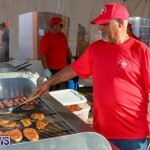 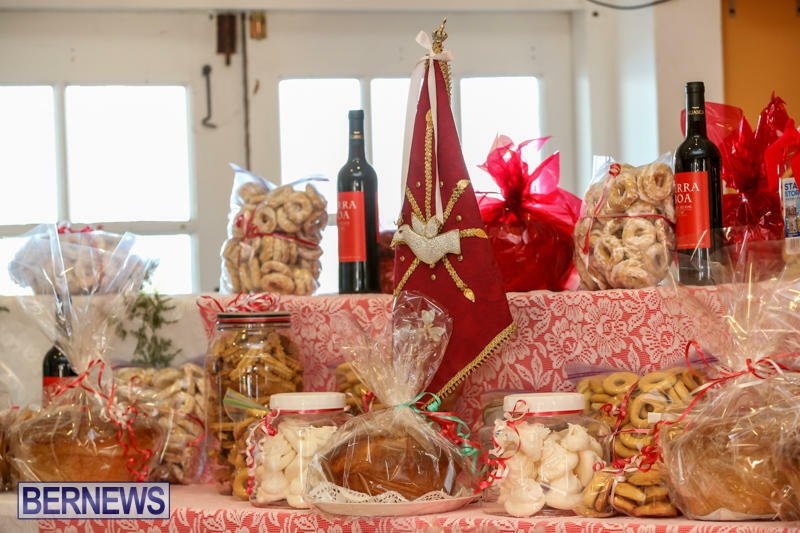 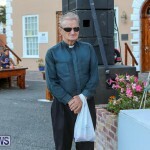 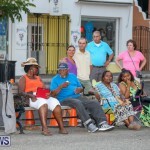 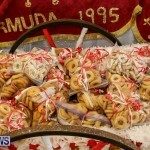 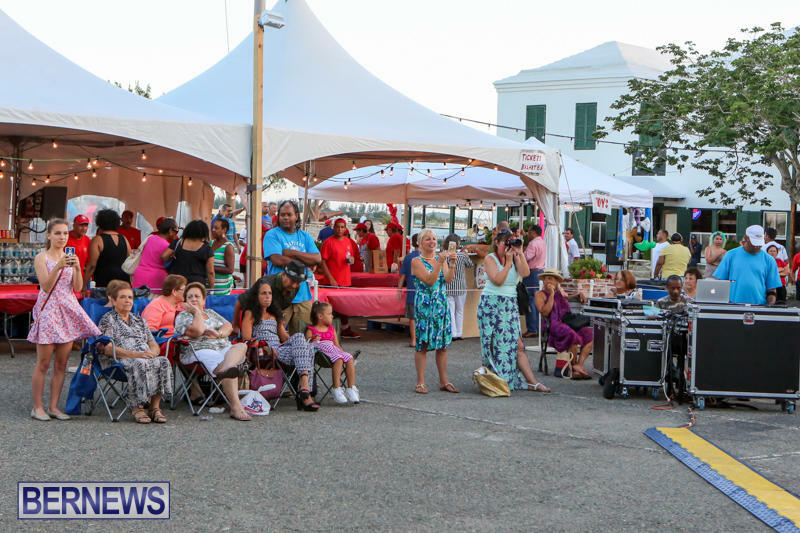 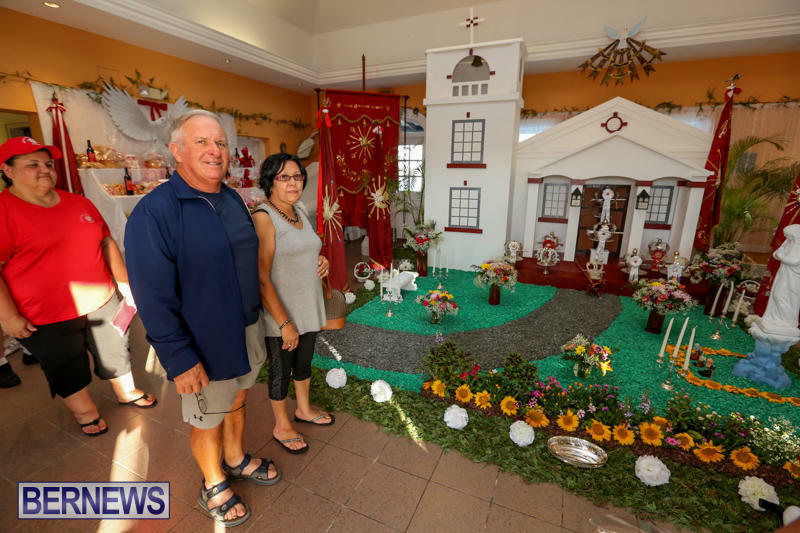 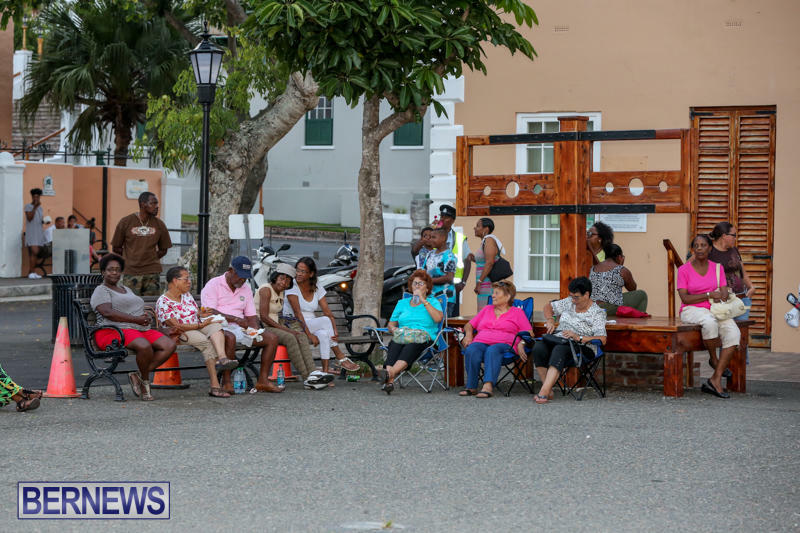 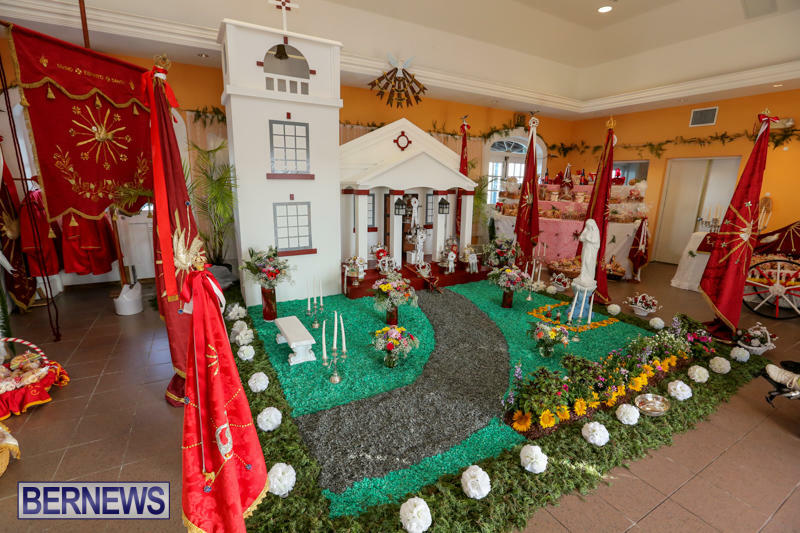 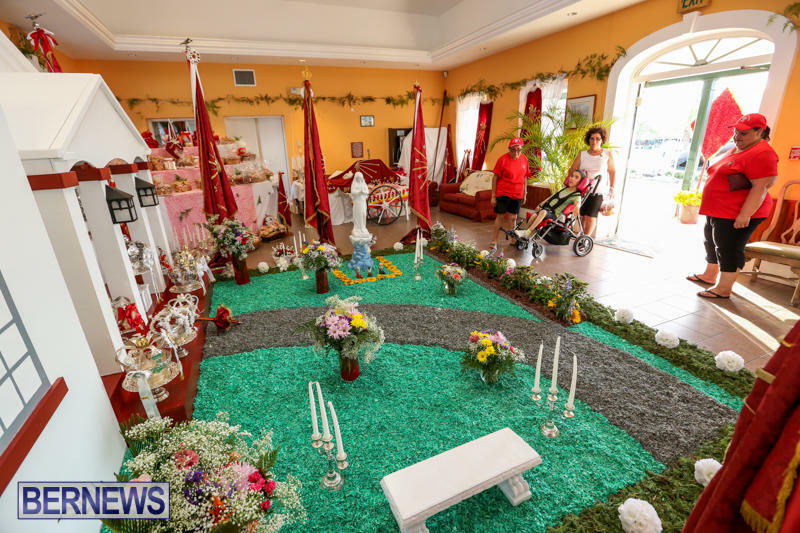 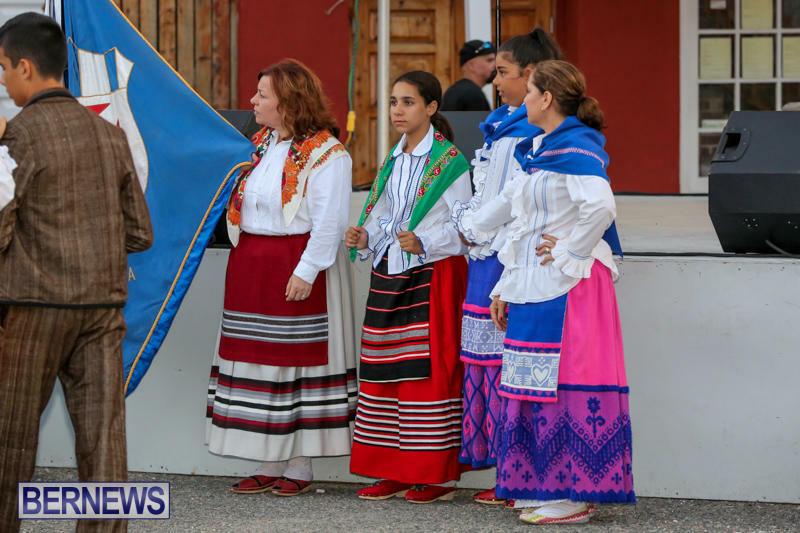 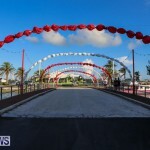 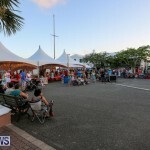 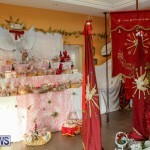 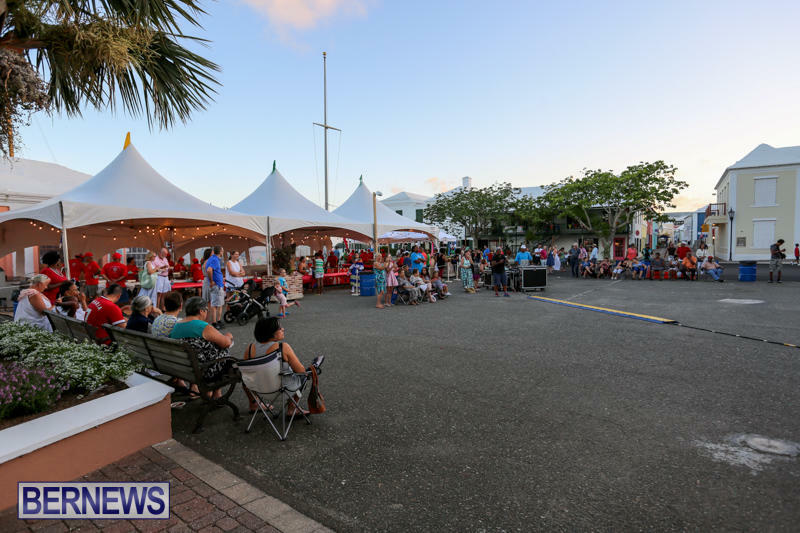 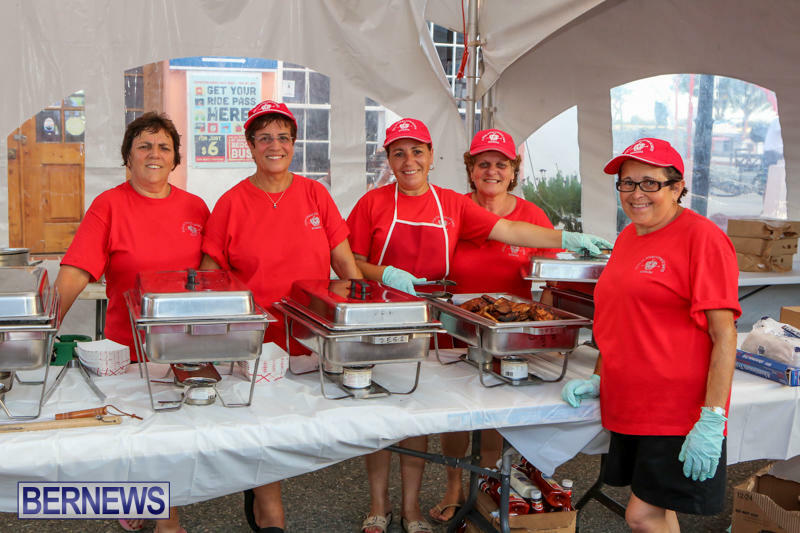 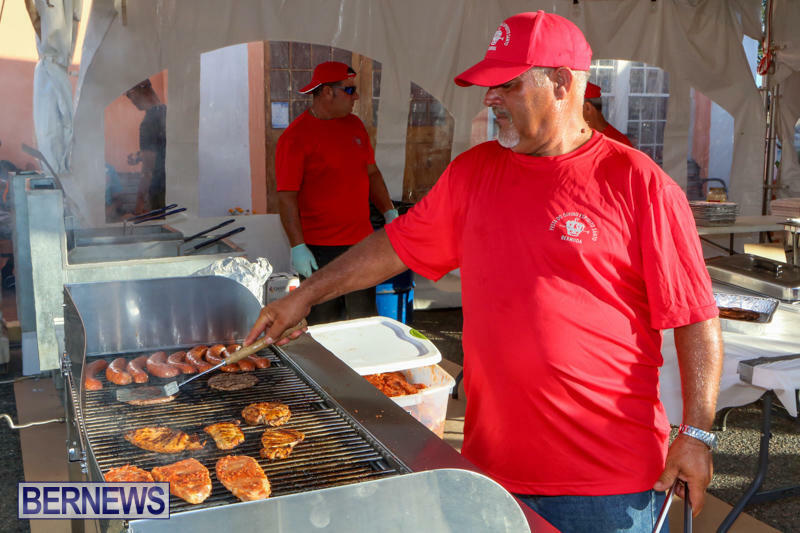 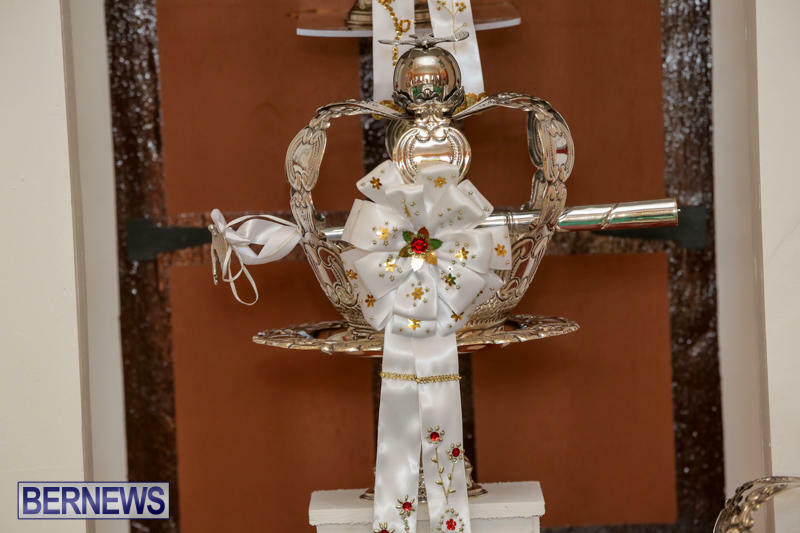 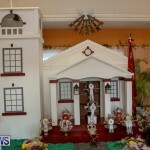 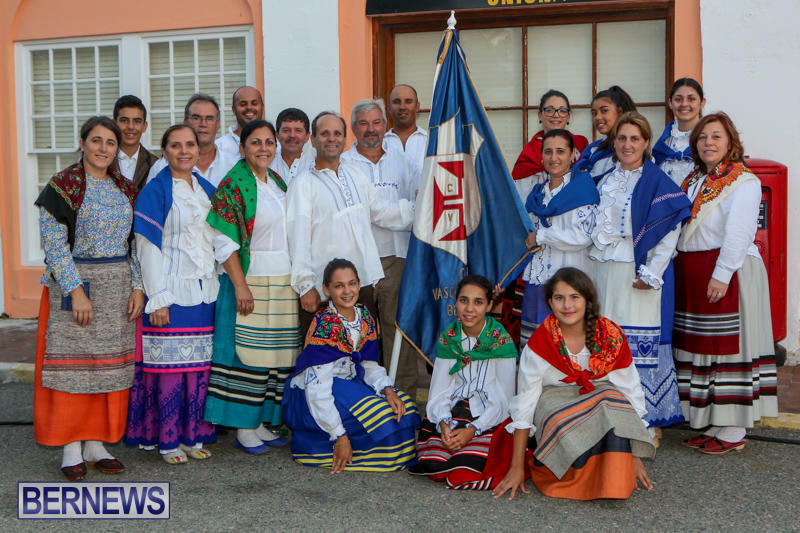 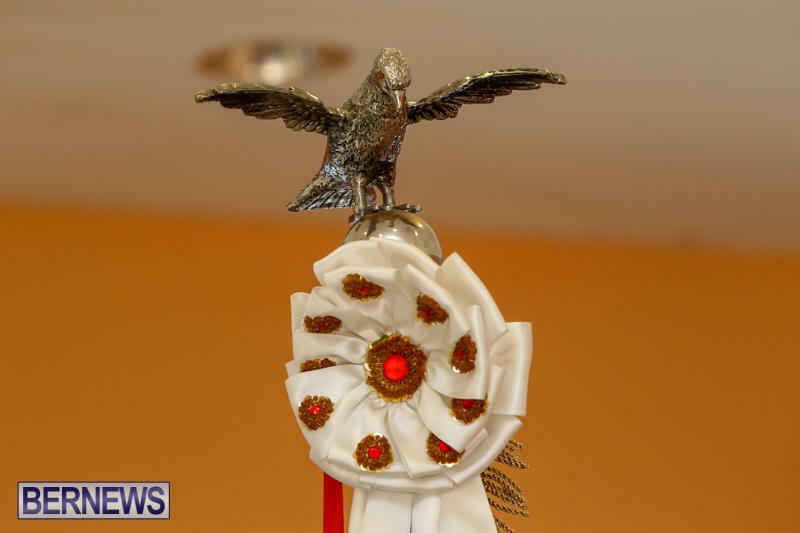 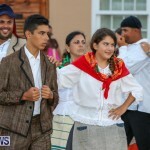 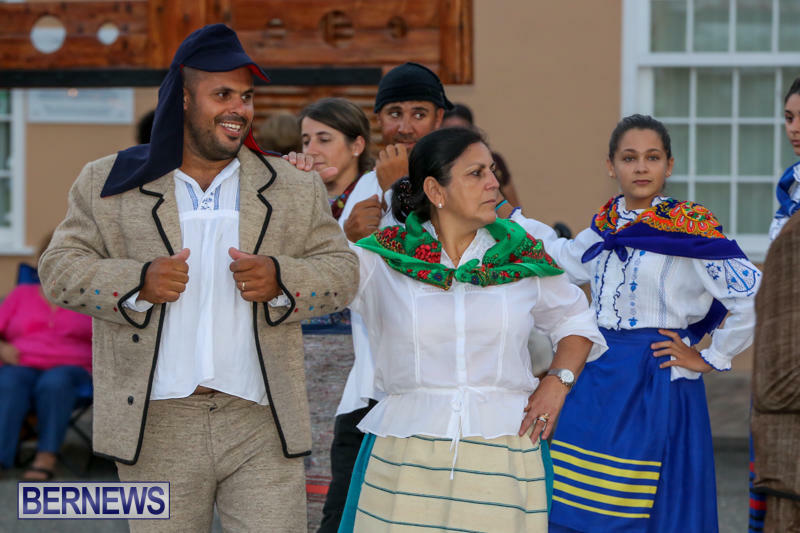 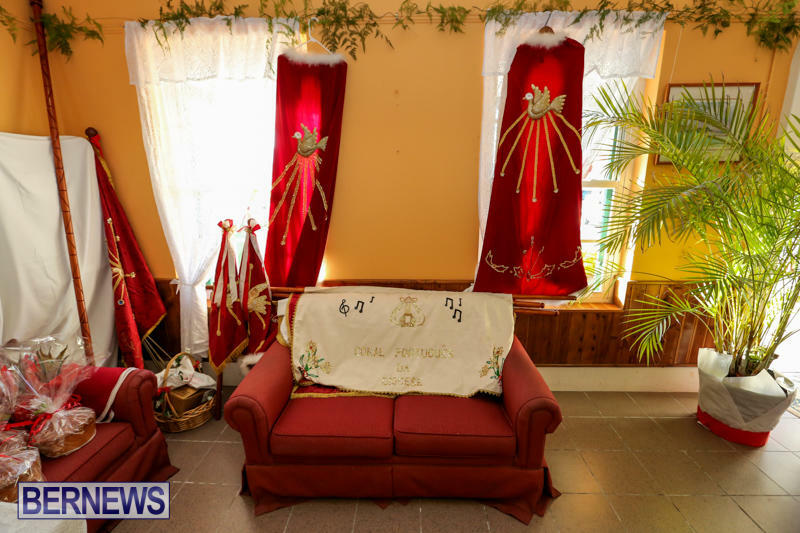 The 20th annual Portuguese Festival of the Holy Spirit got underway today [July 4] in St. George’s, with people from around the island coming to attend the festivities. 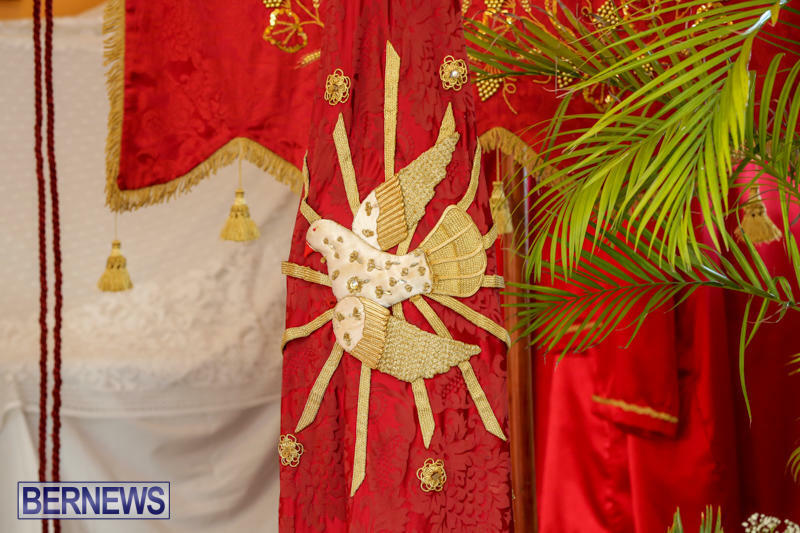 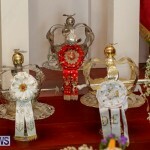 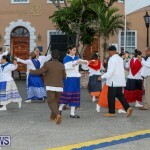 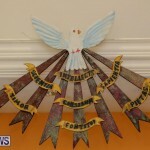 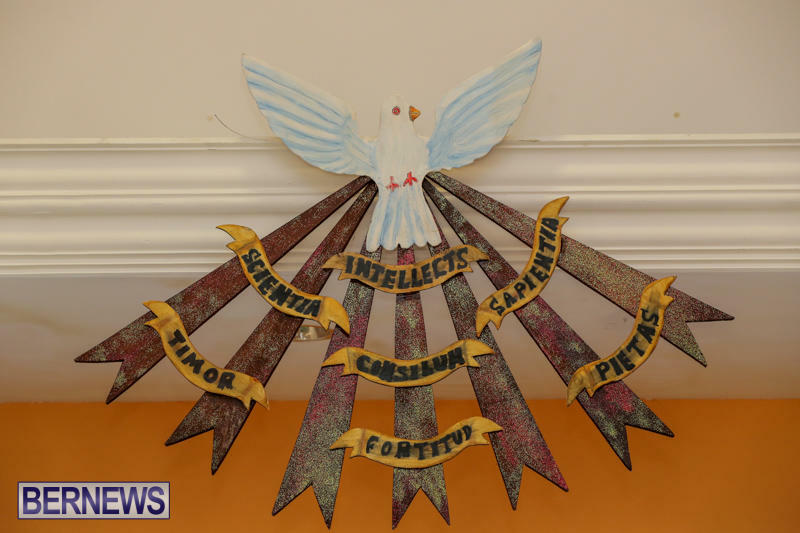 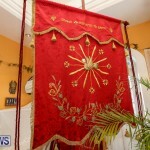 The Festival Of The Holy Spirit started centuries ago in the Azores, and is still celebrated today by Portuguese citizens and descendants worldwide. 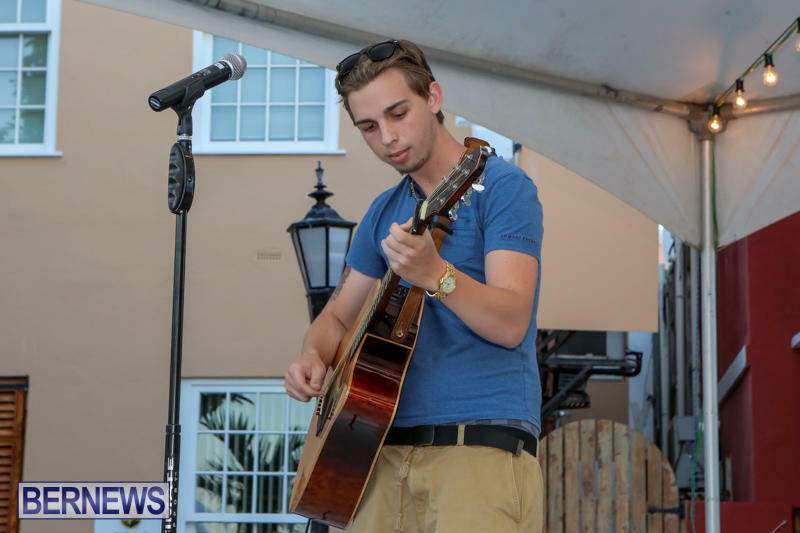 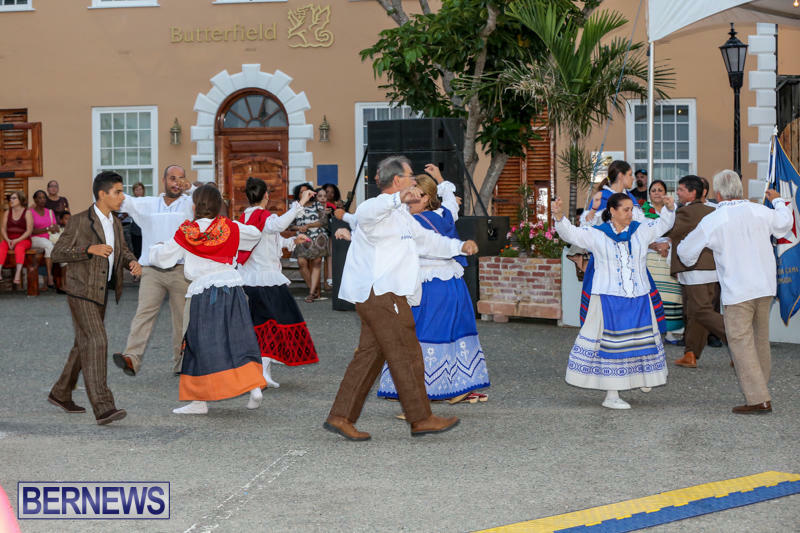 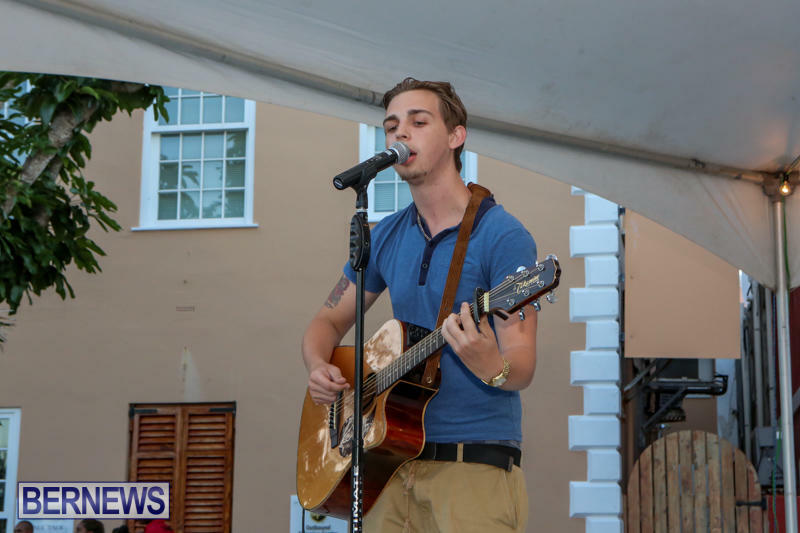 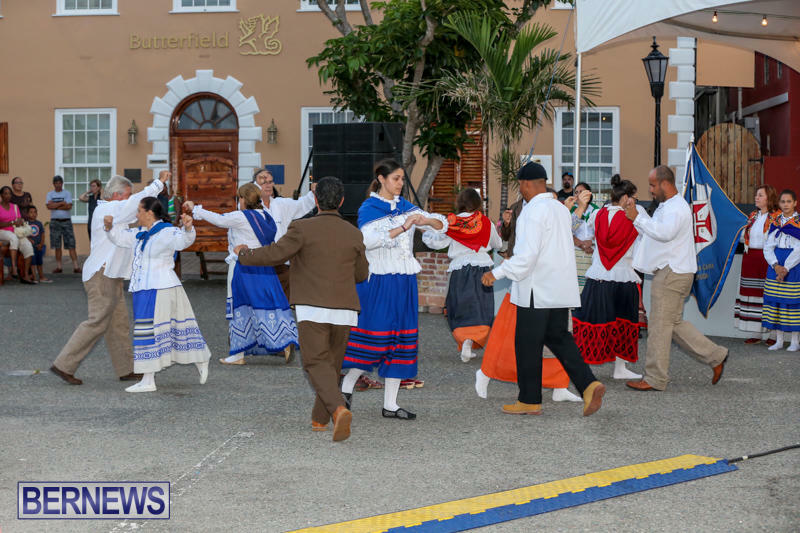 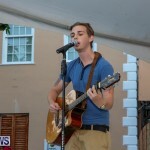 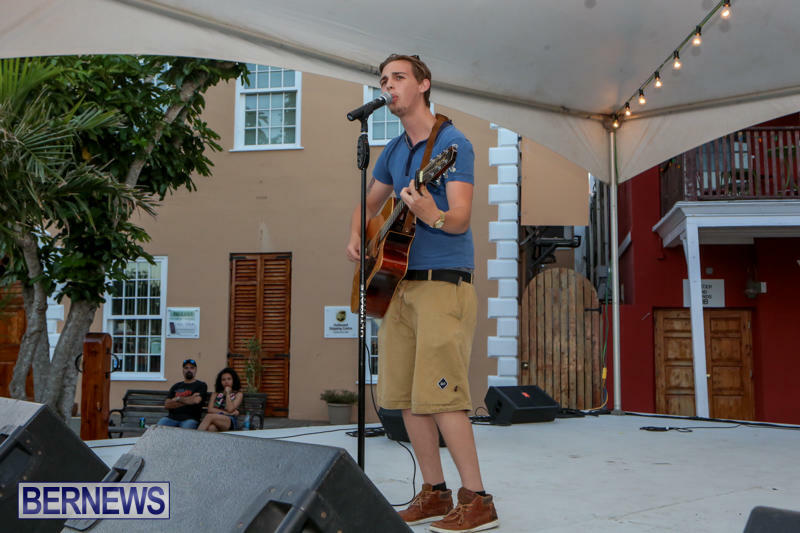 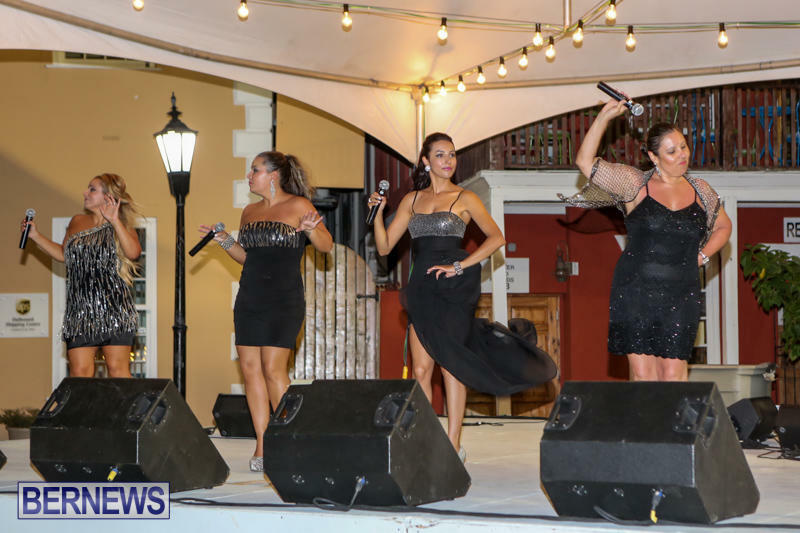 The two night event is filled with entertainment including Caroline Araujo and friends Ashley Smith and Cameron Moulder, Filipino Dancers, the Travellers, Vasco Da Gama Dancers, and more. 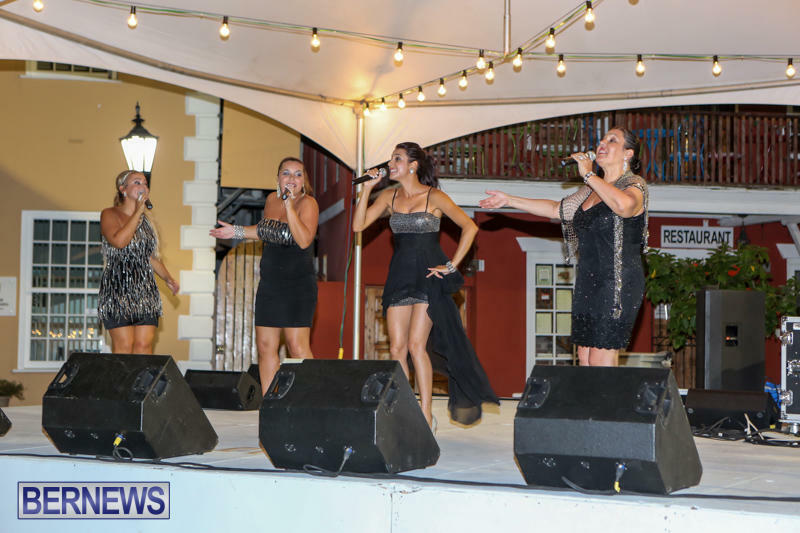 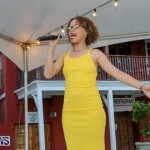 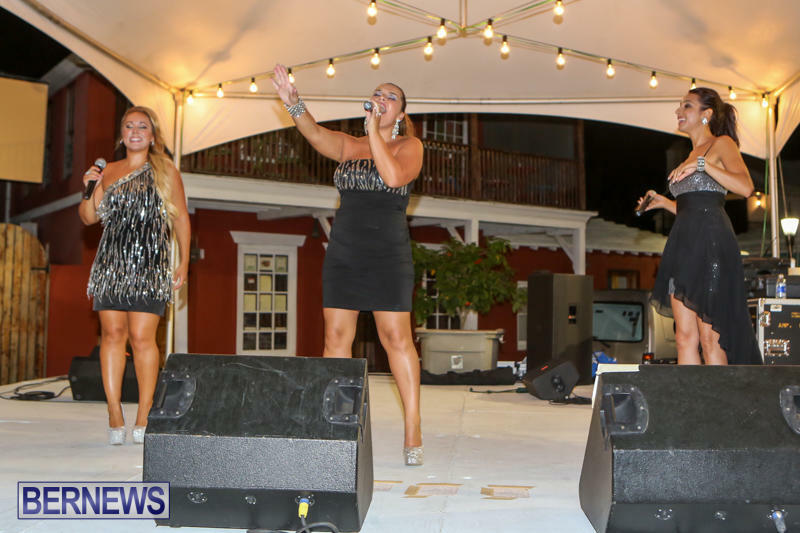 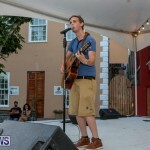 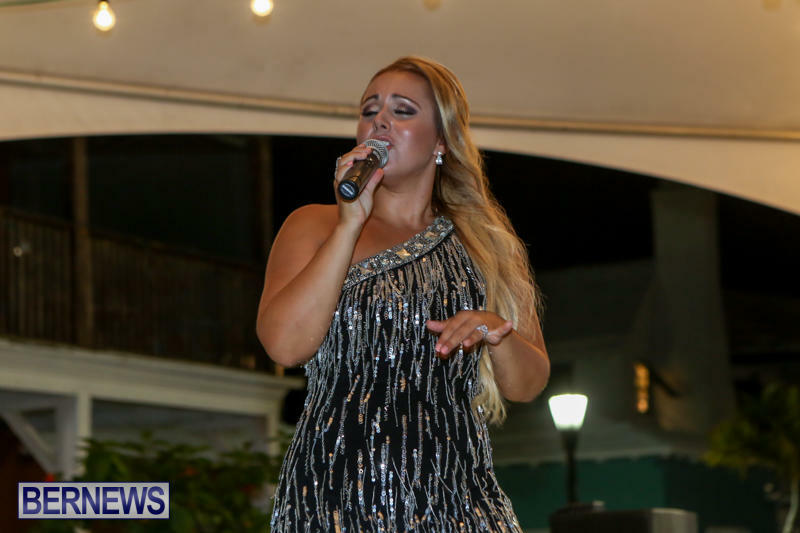 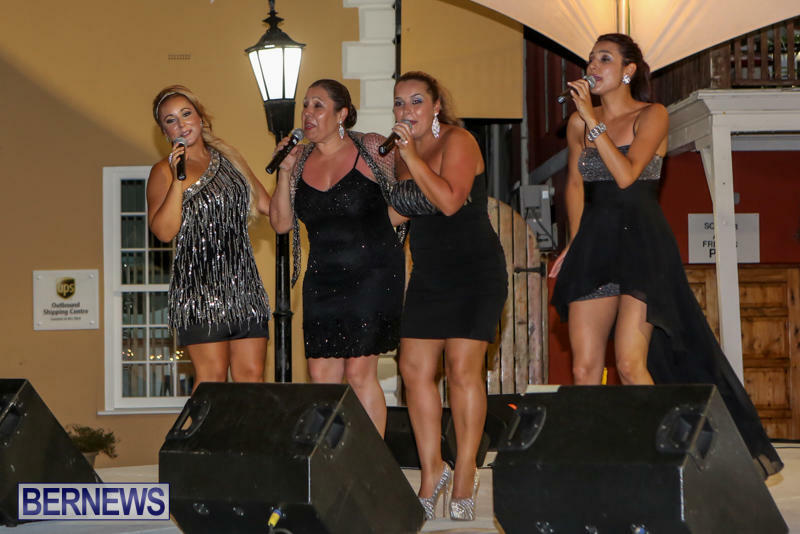 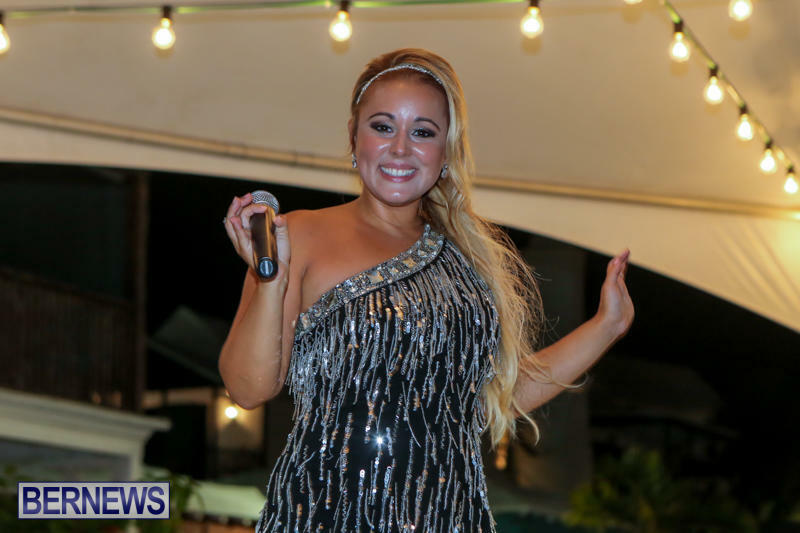 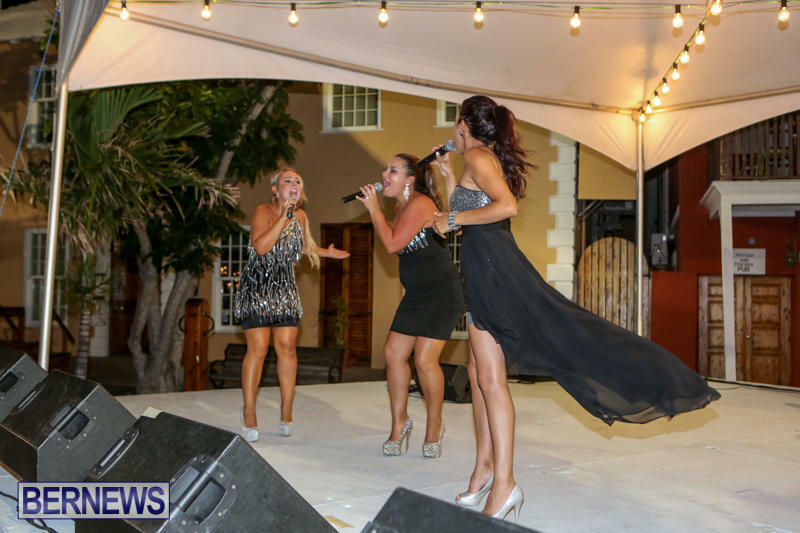 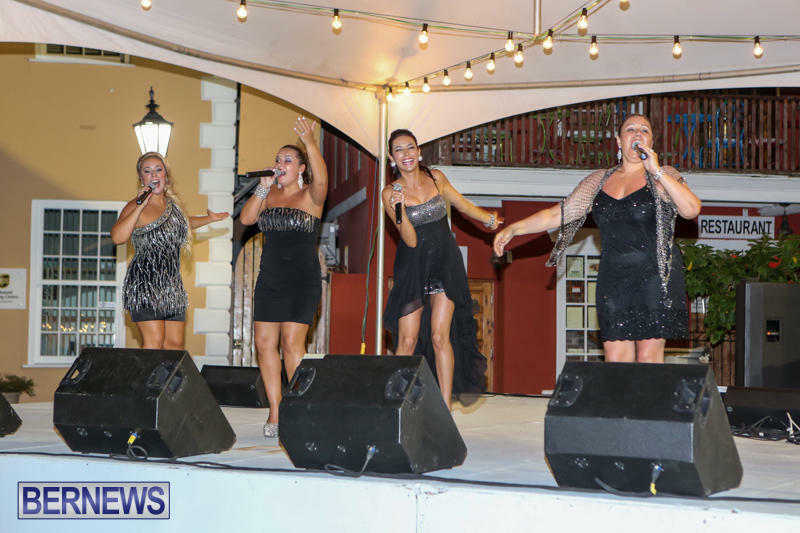 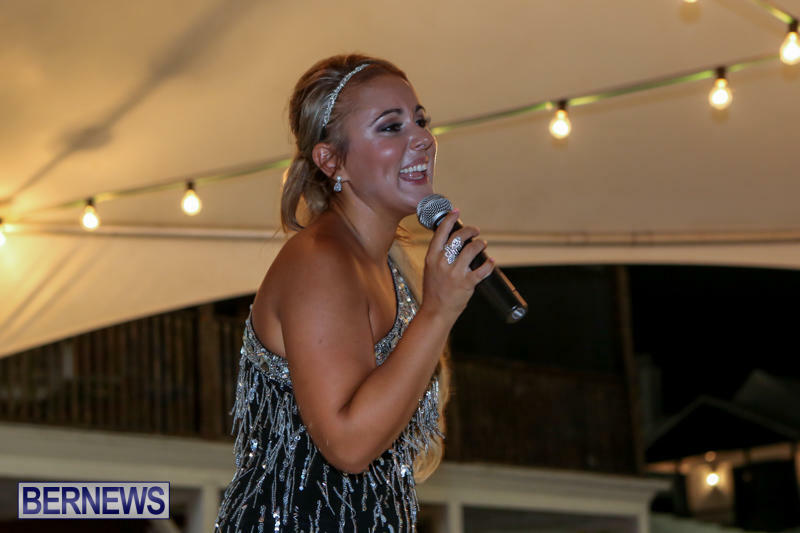 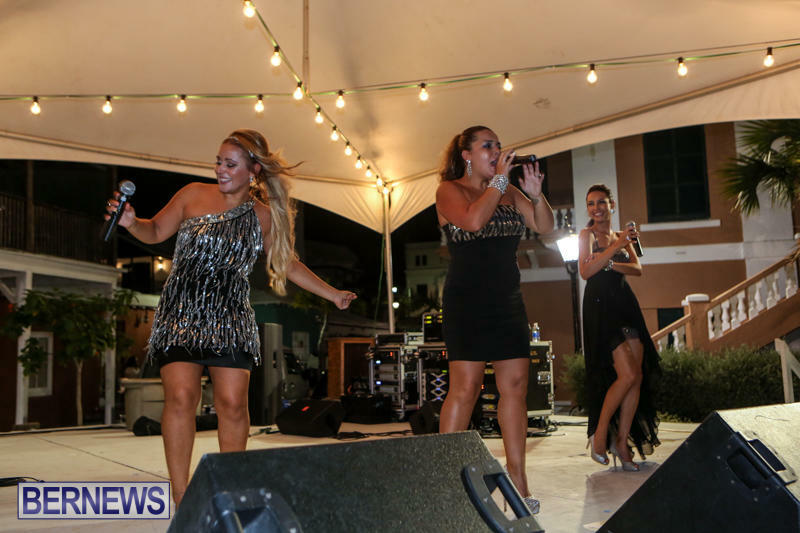 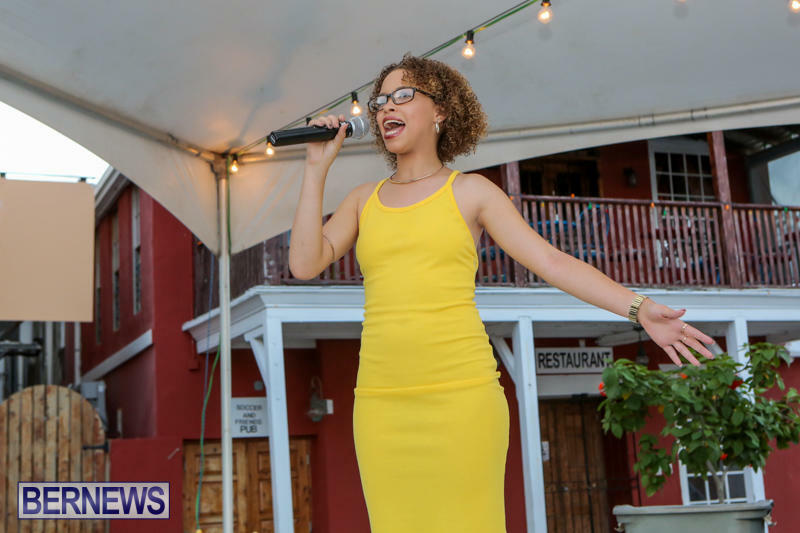 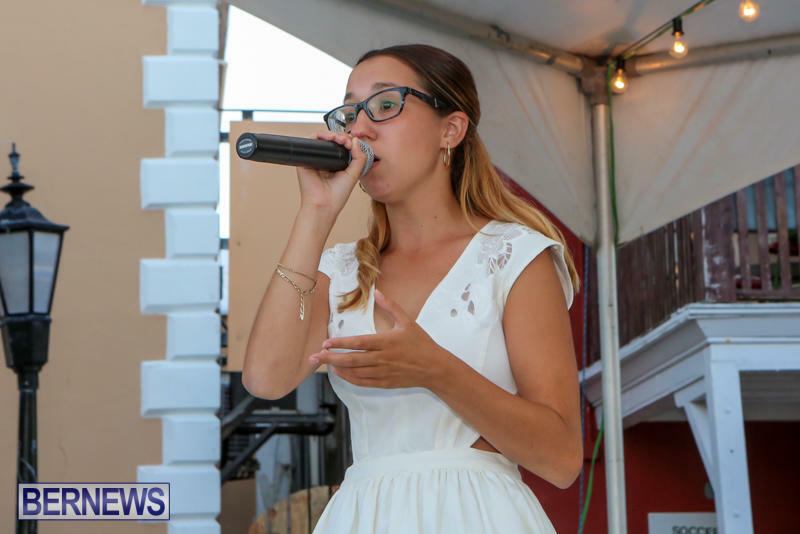 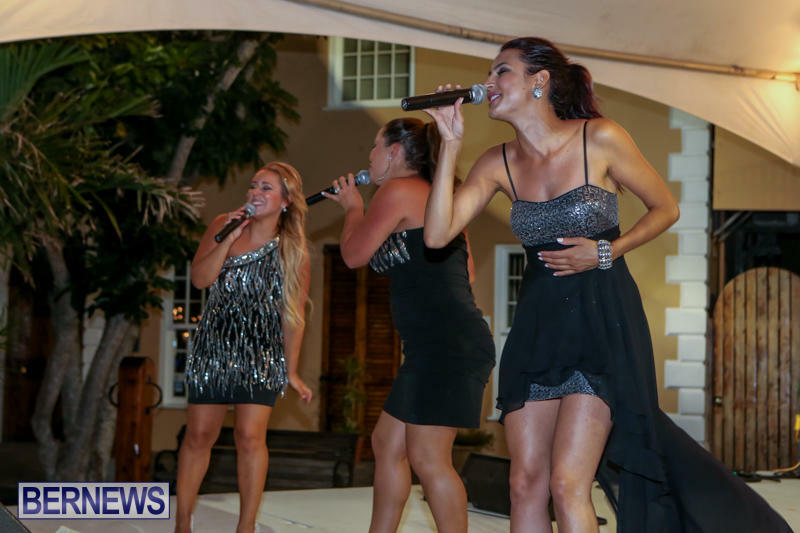 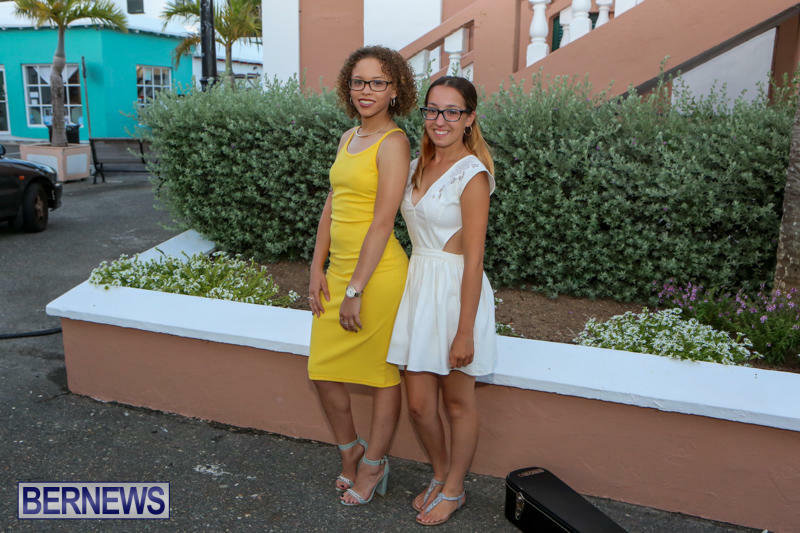 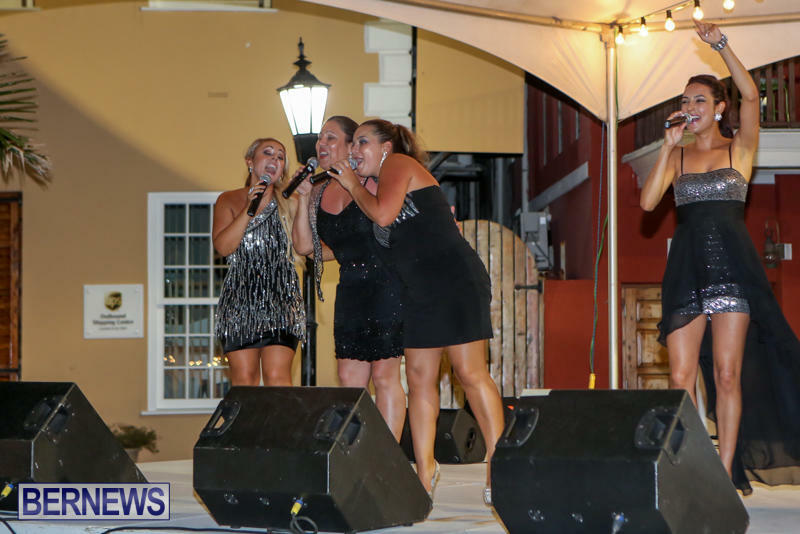 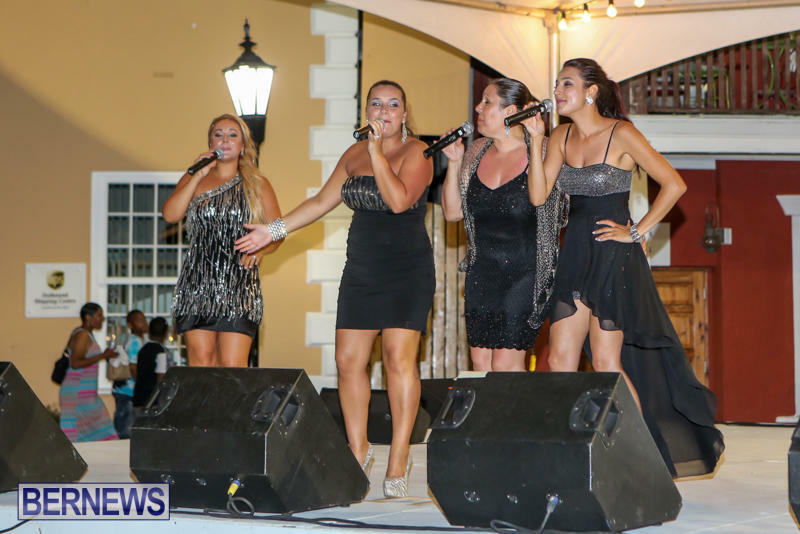 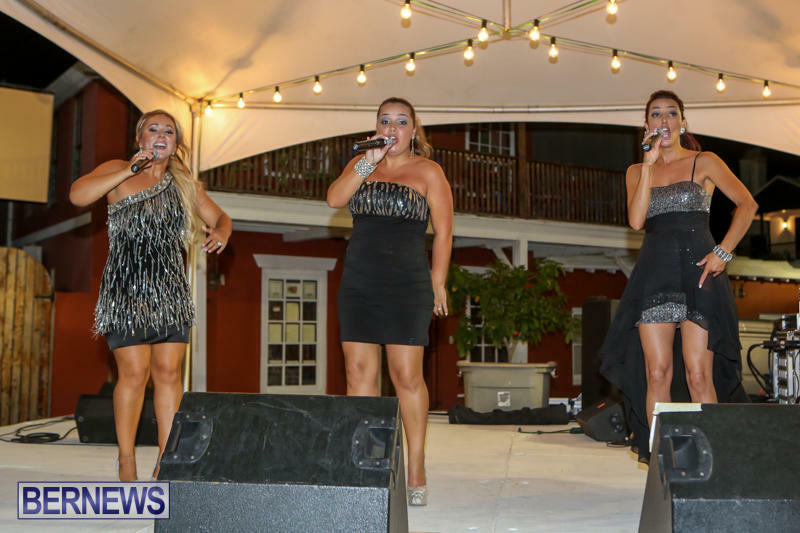 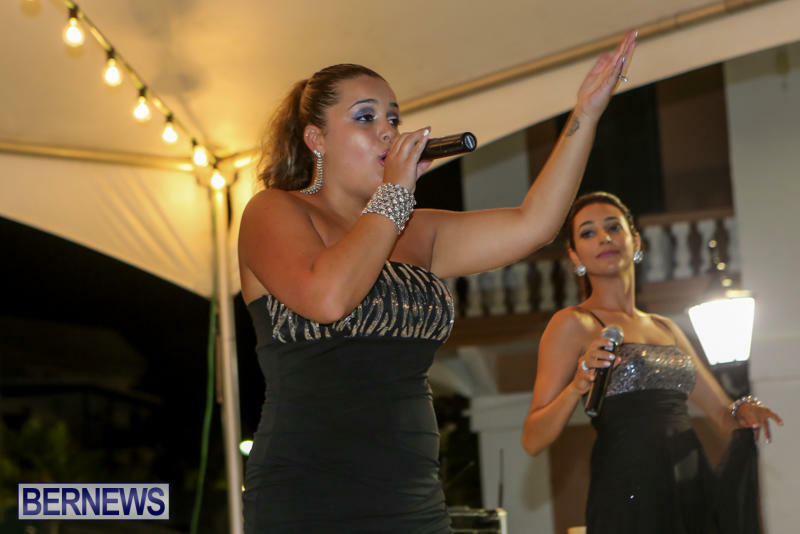 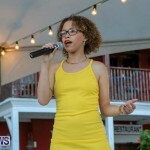 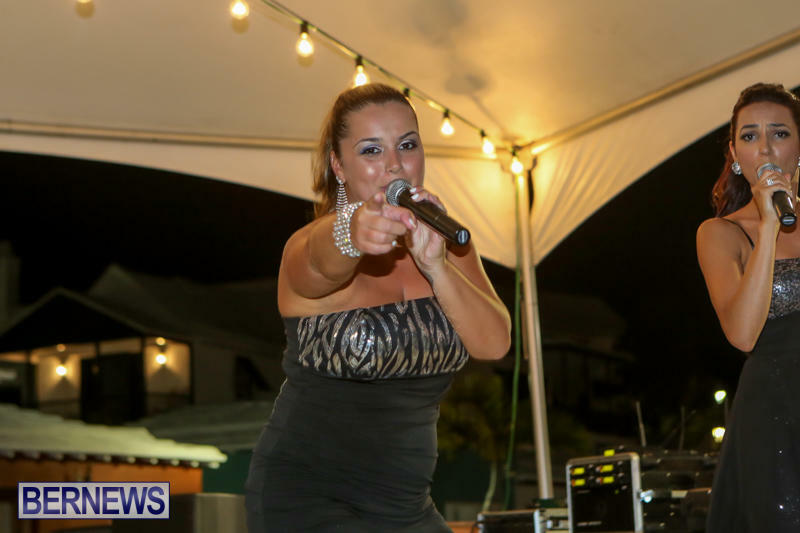 Also performing is visiting Portuguese singer Sarah Pacheco, who is no stranger to the island and she was joined by fellow performers Michelle Madeira and Stephanie Tavares. 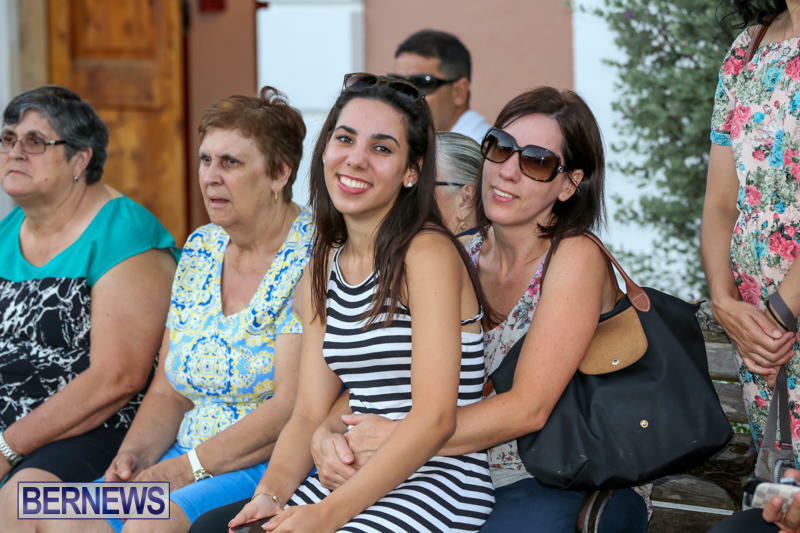 Ms Pacheco’s mother Milu Pacheco also took part in the fun, joining her daughter for a few songs. 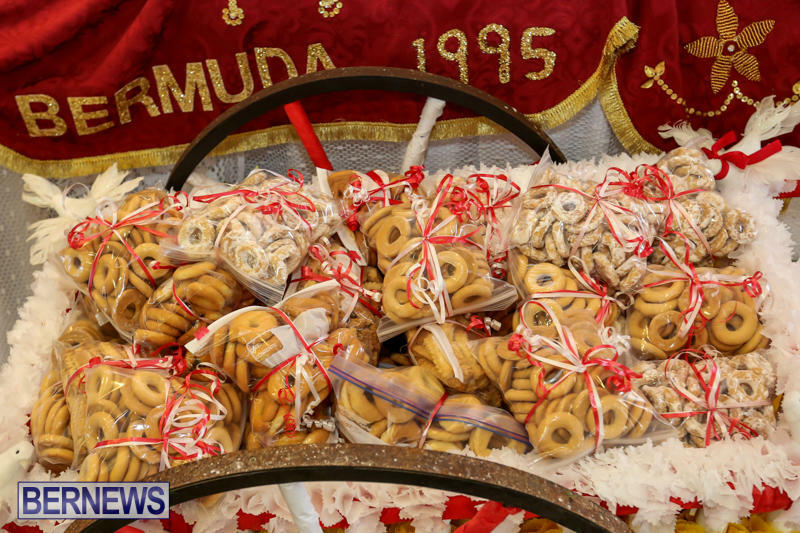 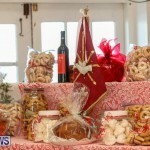 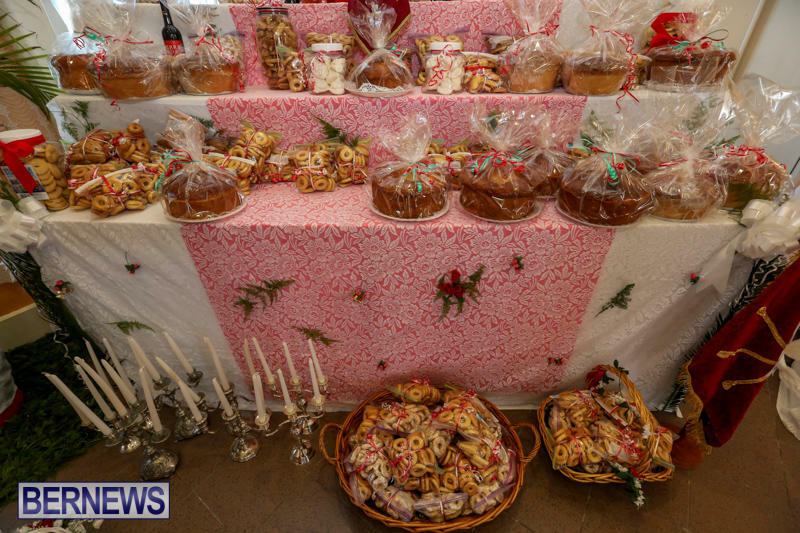 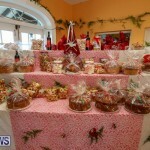 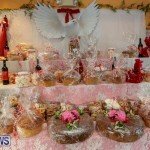 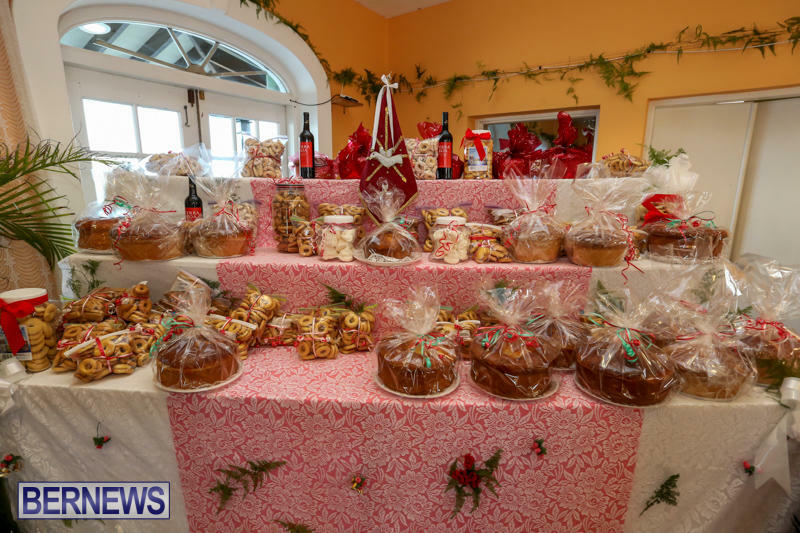 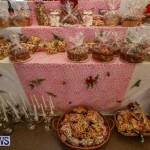 Portuguese food, donuts, and baked goods was on sale during the event. 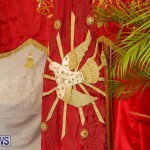 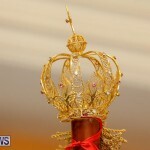 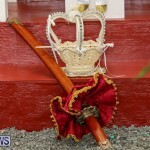 The Portuguese Festival of the Holy Spirit will continue tomorrow, July 5th from 5.00pm through 11.00pm. 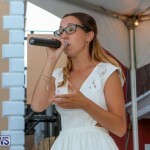 The young lady in the glasses and white dress who sang (Caroline-she also sang in Portuguese)) has the most beautiful voice. 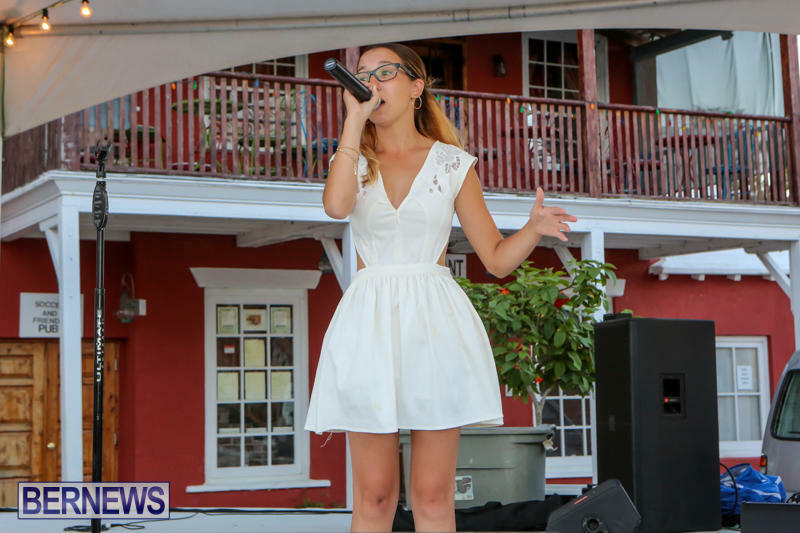 She needs to try out for U.K. X Factor or something because she was really good-she sounds good enough to cut a record right now IMO. 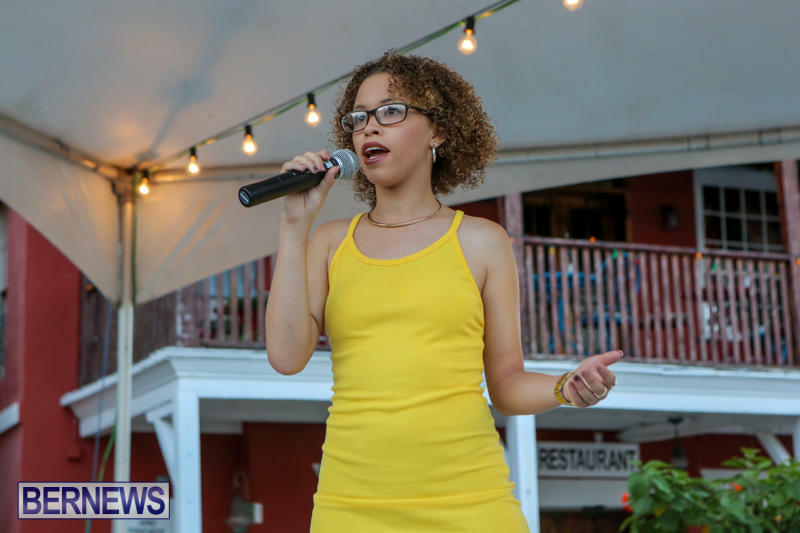 I was hoping to run into her to tell her this but I hope she reads this comment and is encouraged to pursue this-she is a really talented young lady! 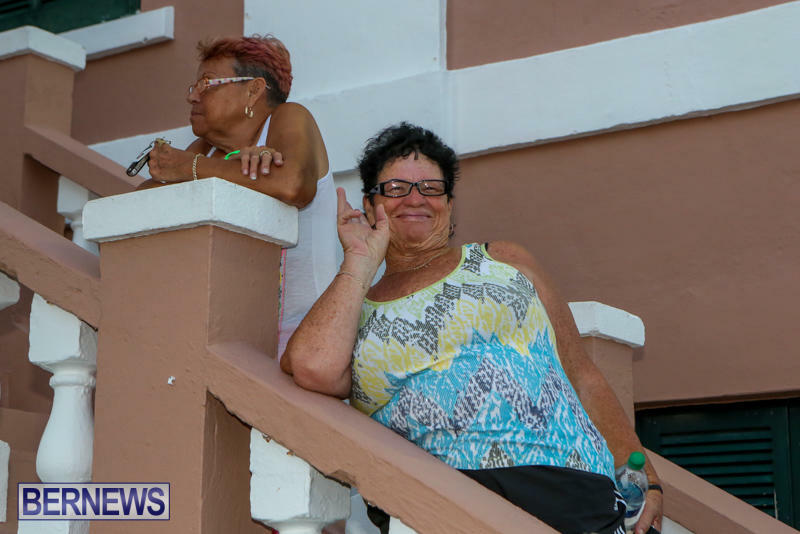 Get a freeking life yah a-hole.